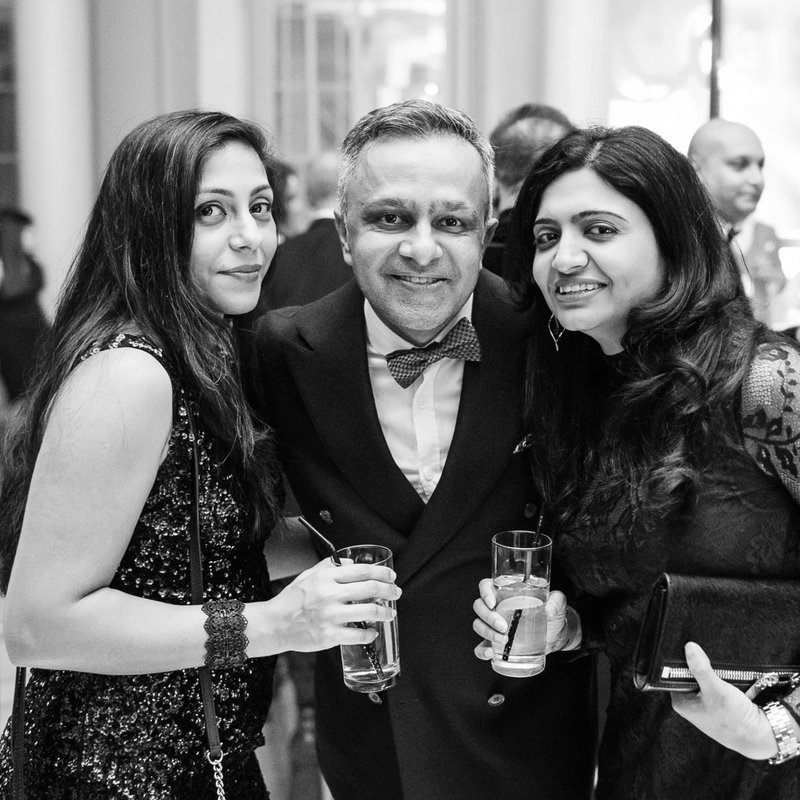 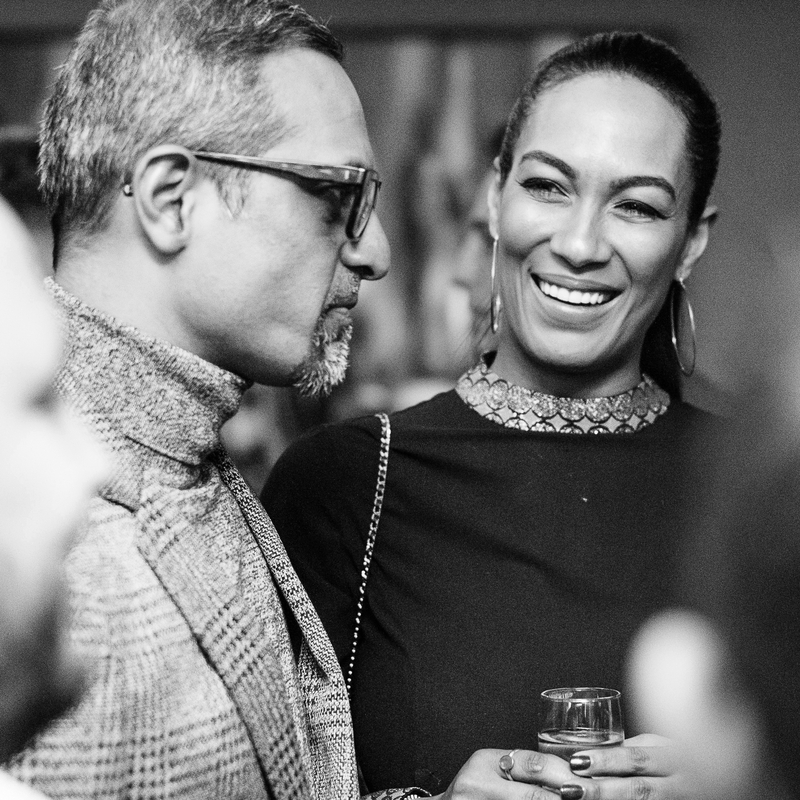 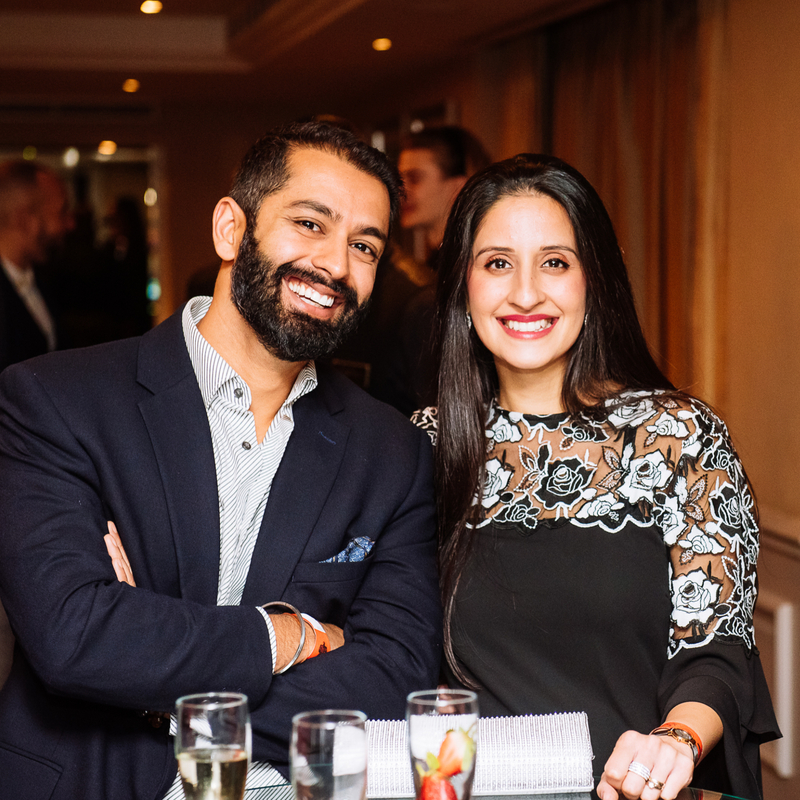 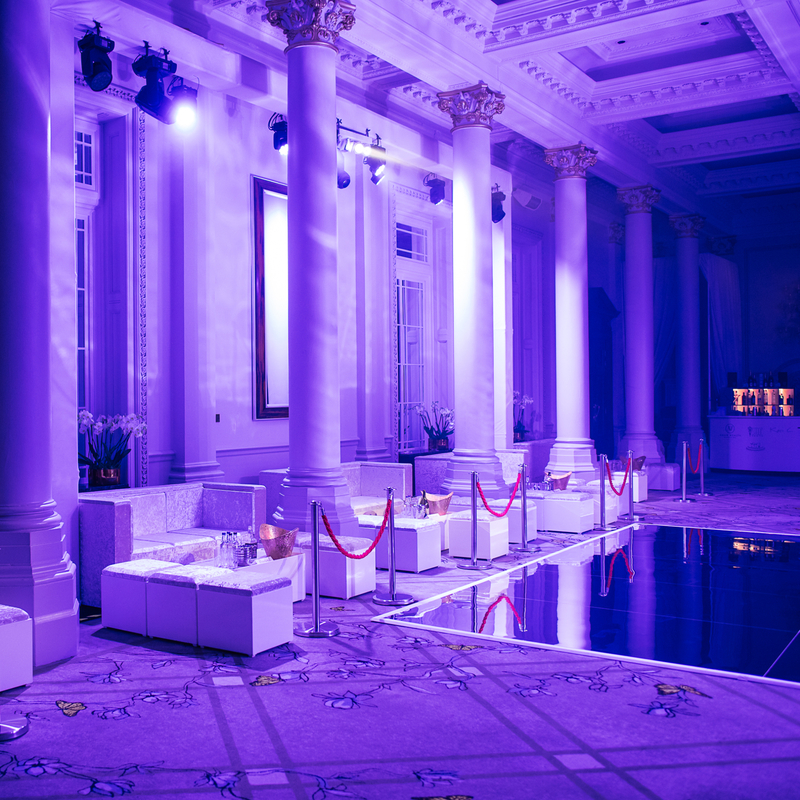 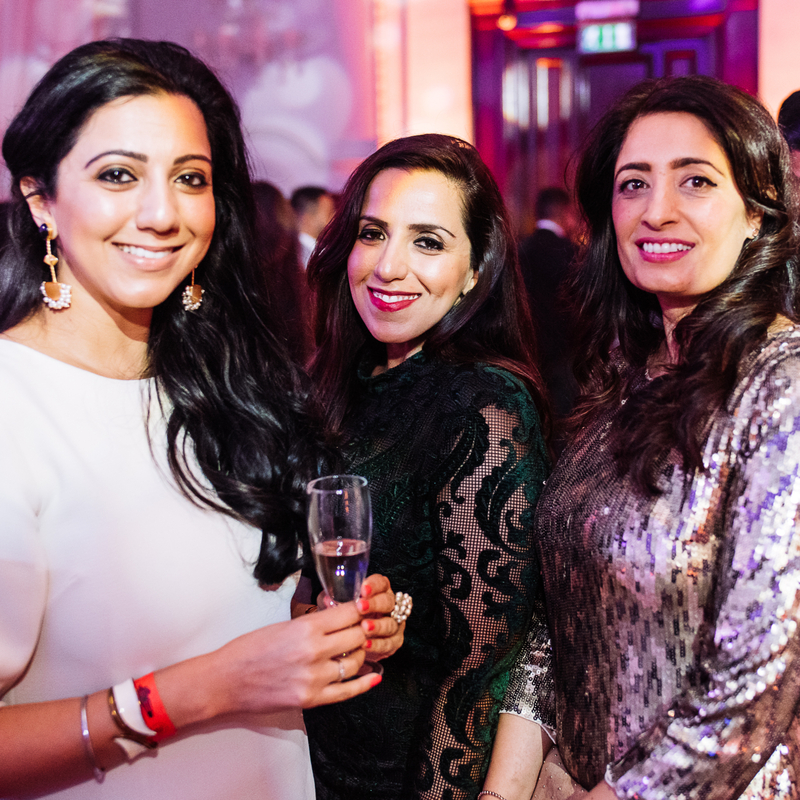 December dazzles at the End of Year party at The Langham, London. 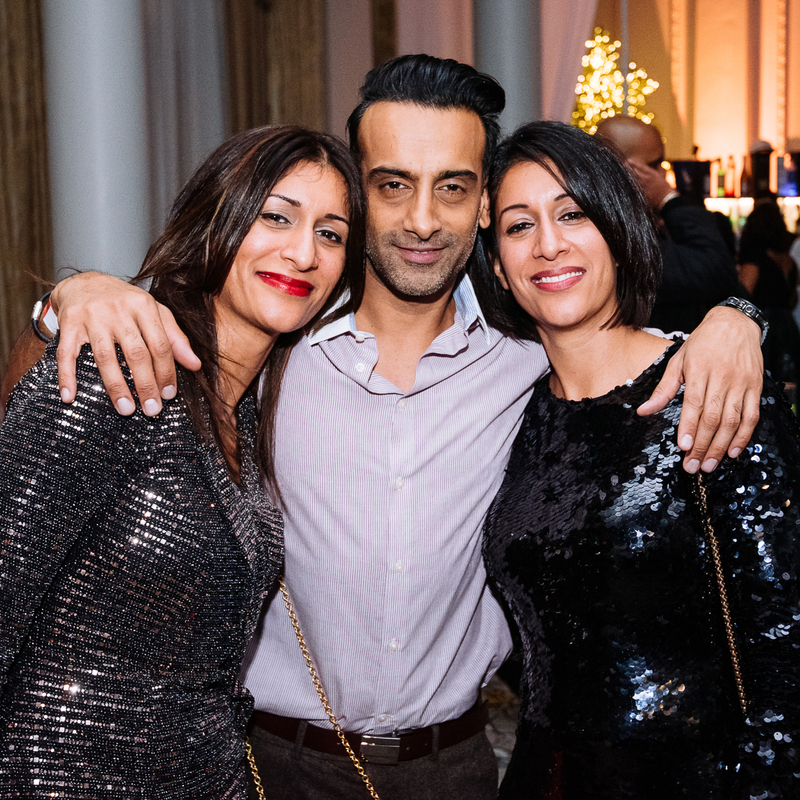 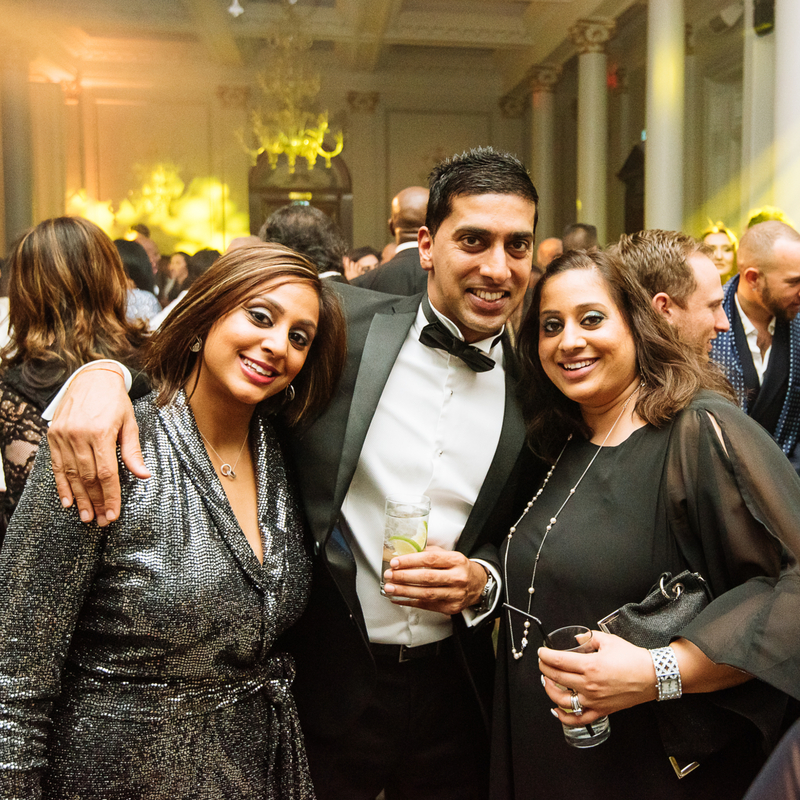 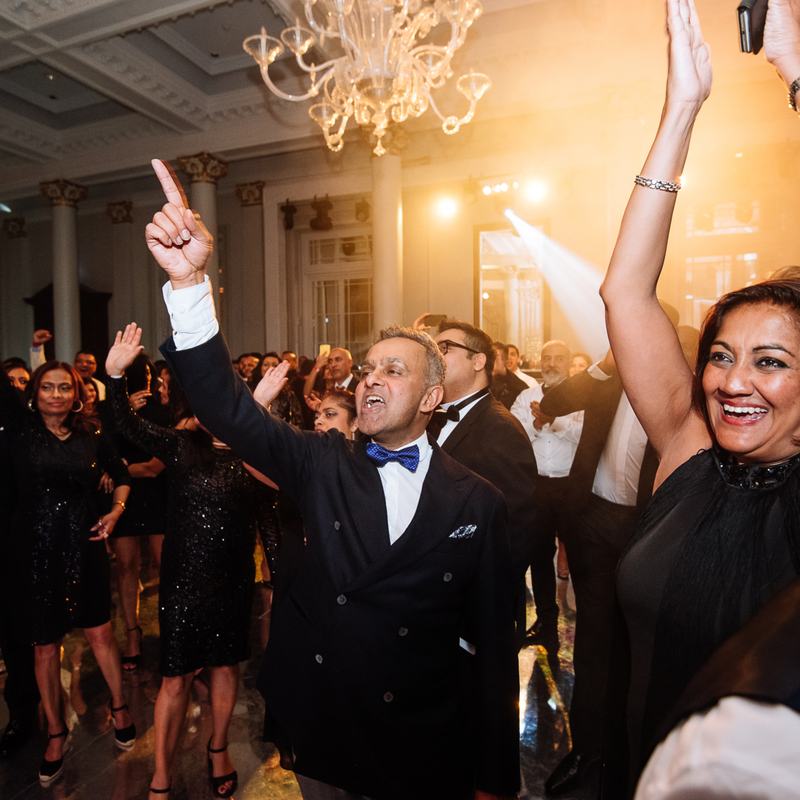 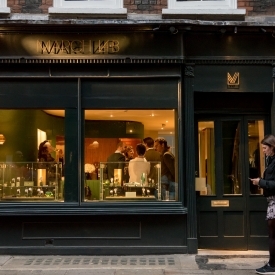 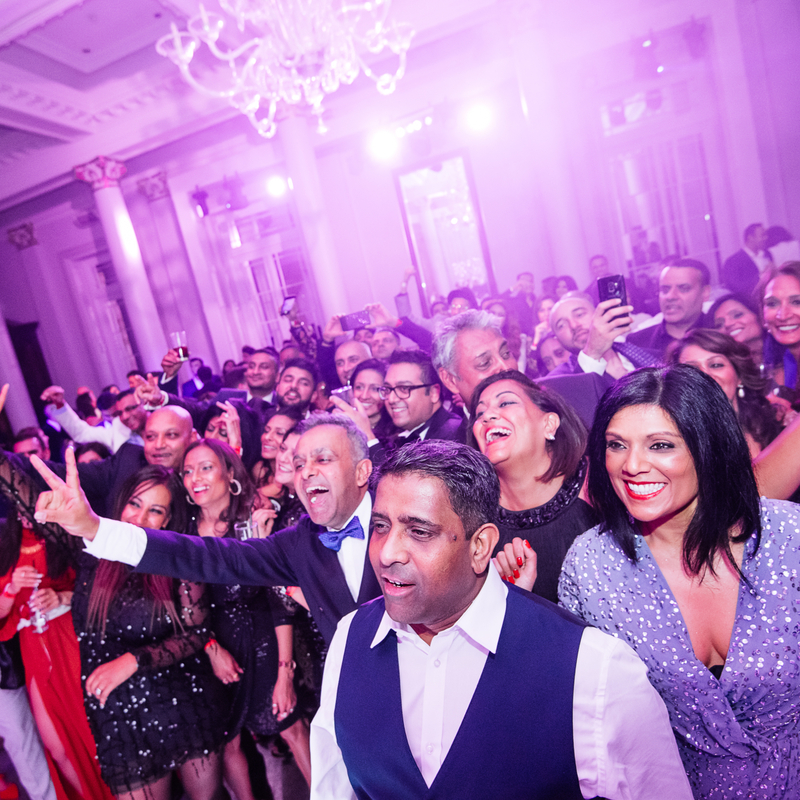 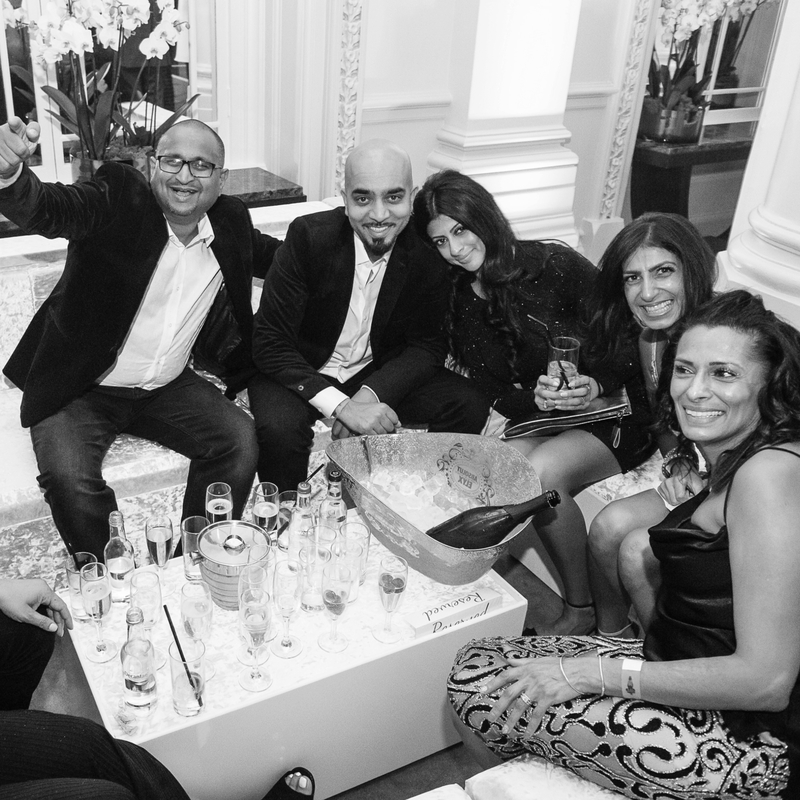 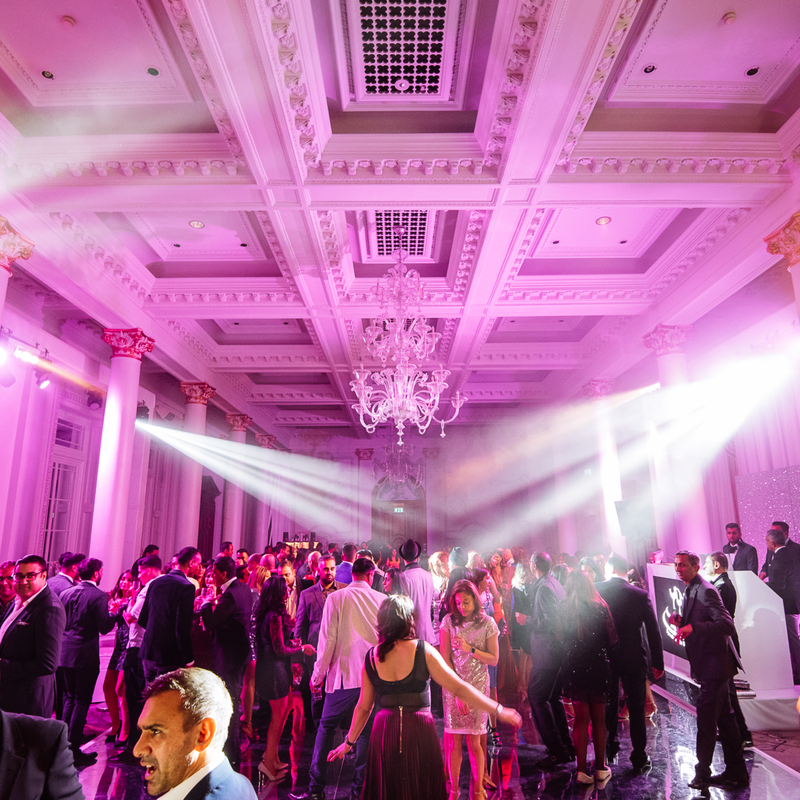 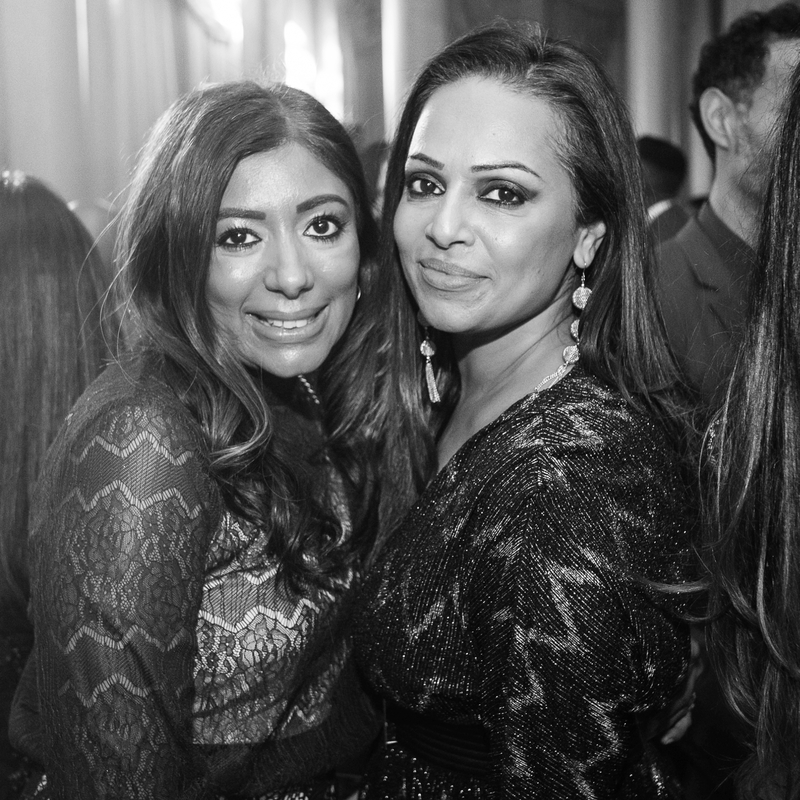 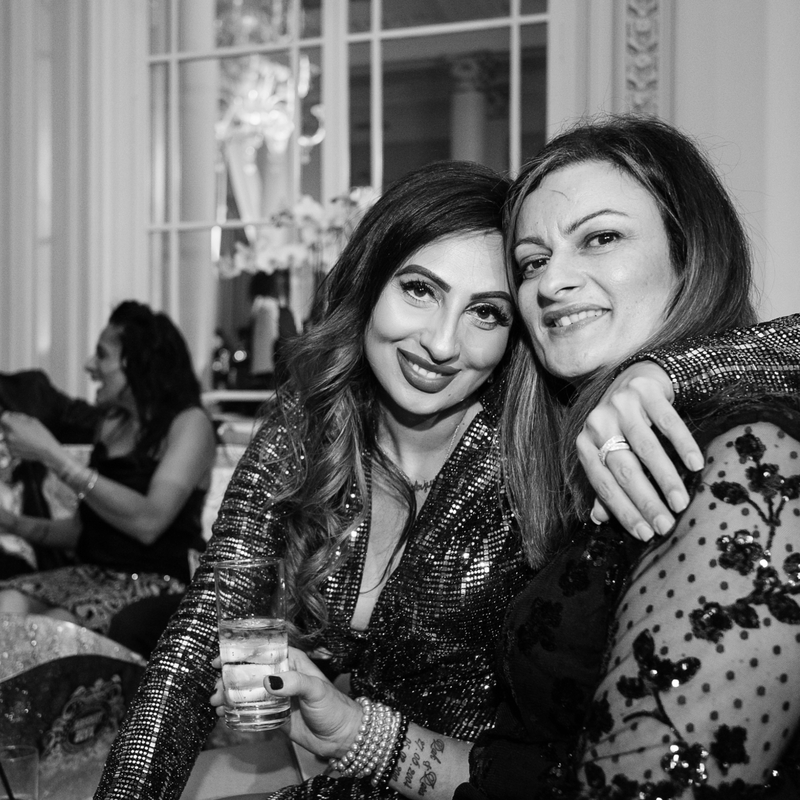 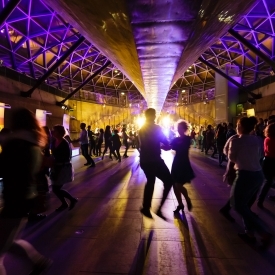 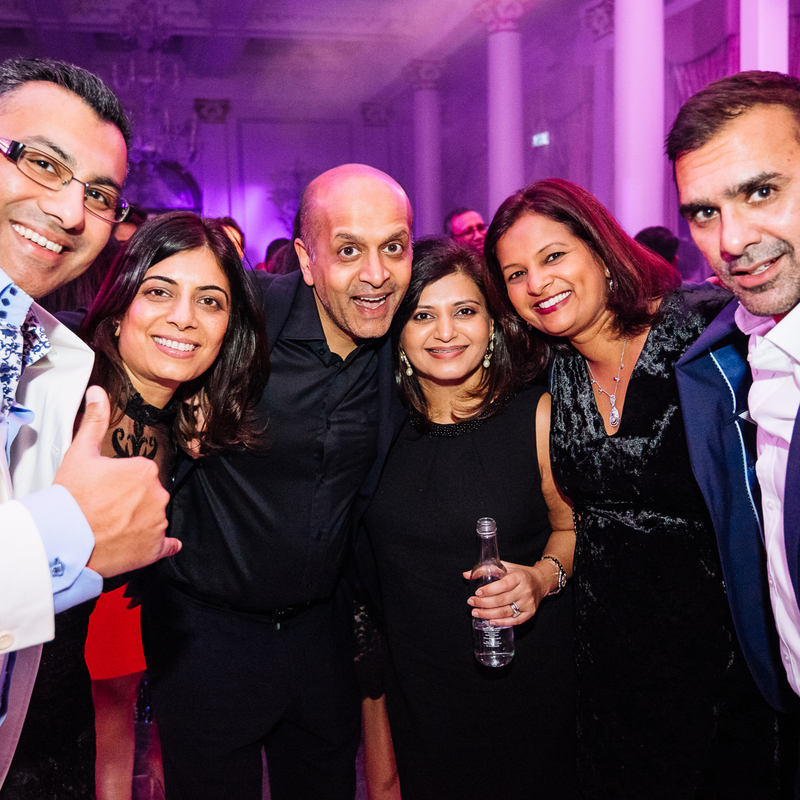 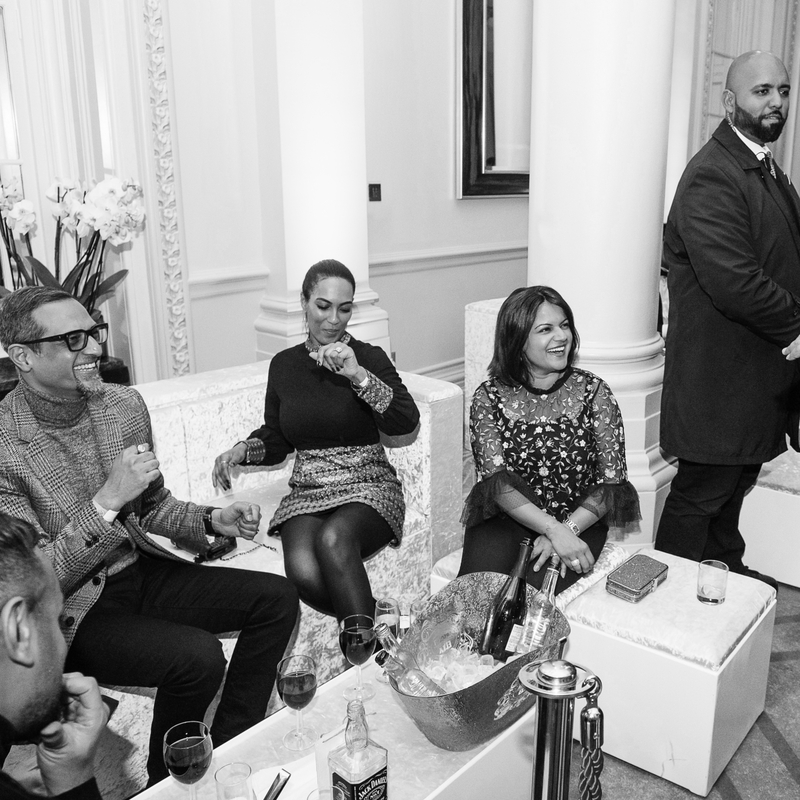 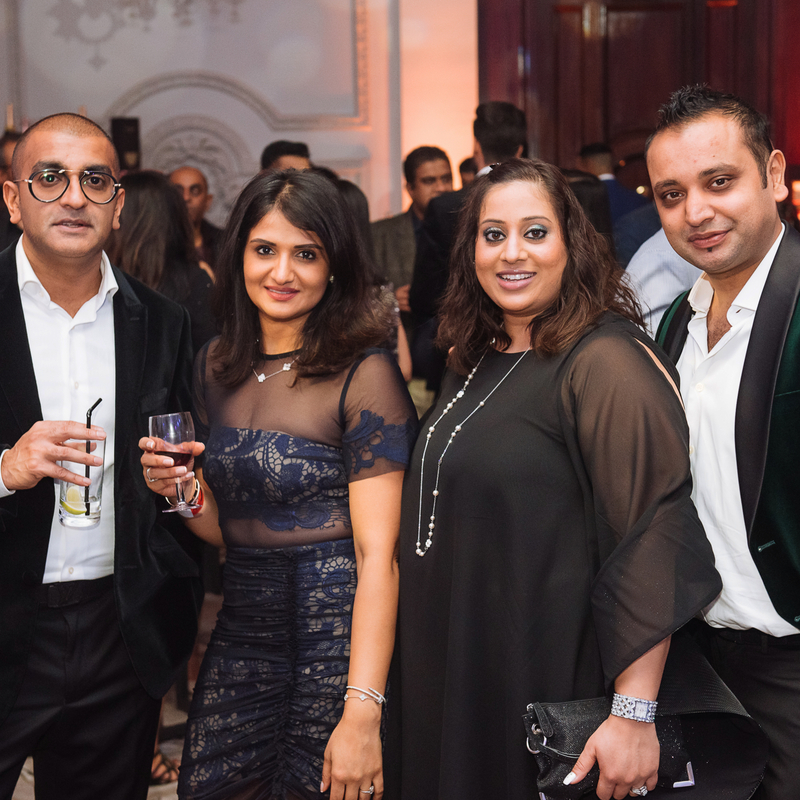 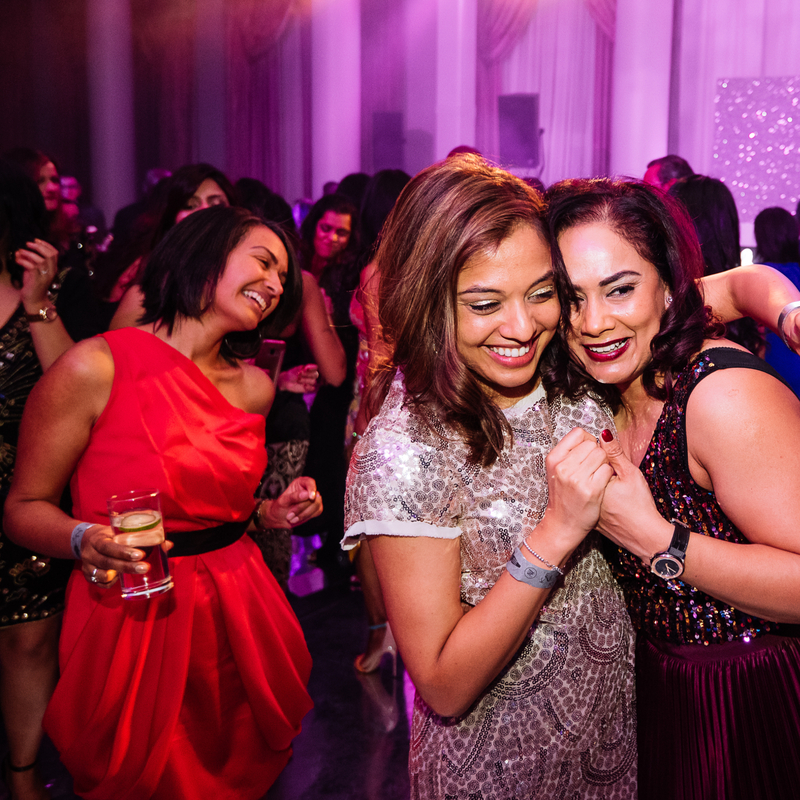 A glamorous party in the heart of the West End heralded the start of the festive season. 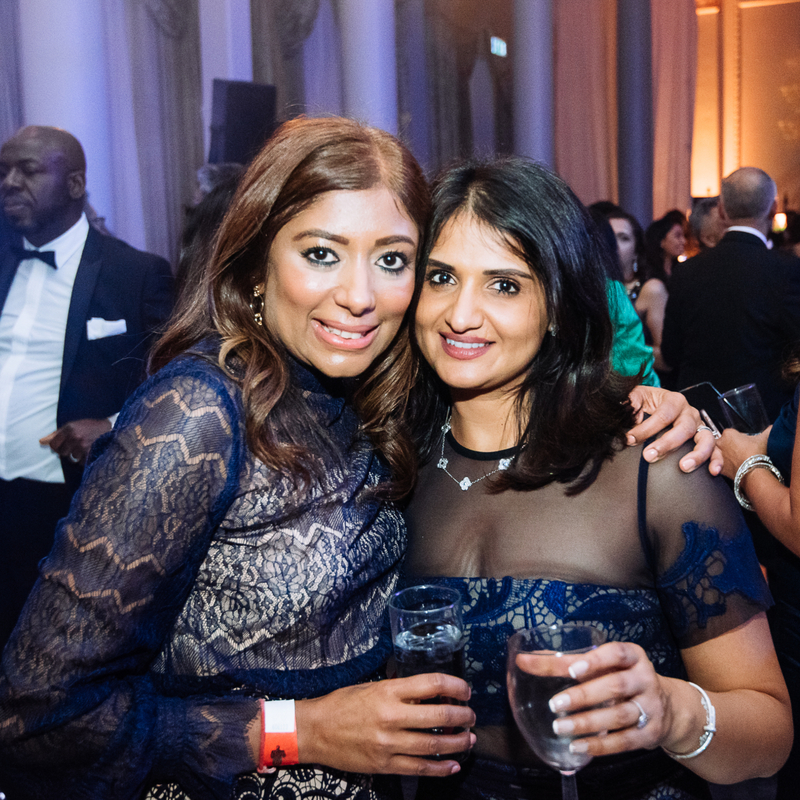 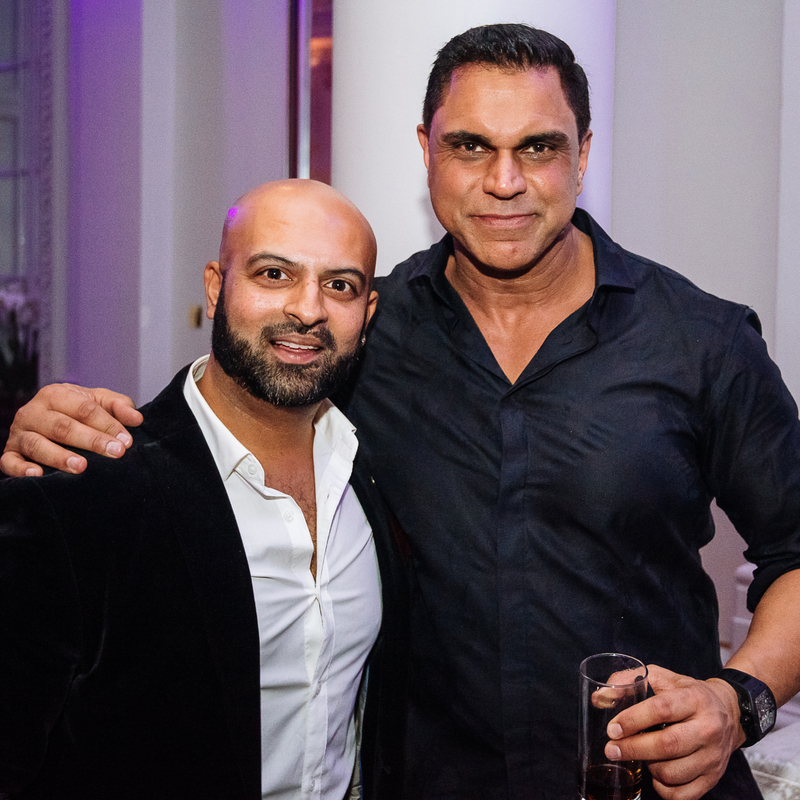 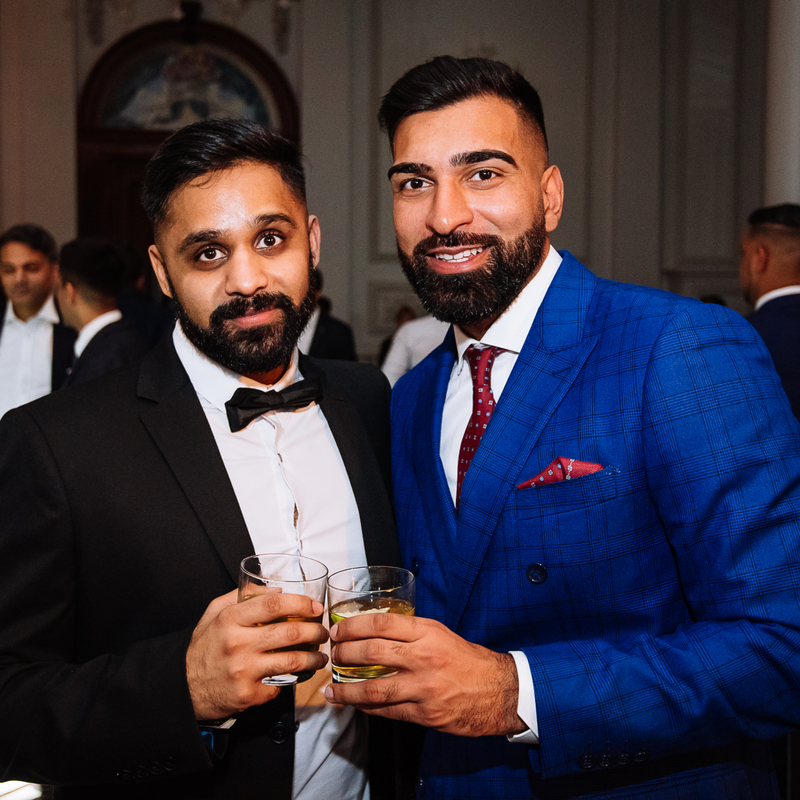 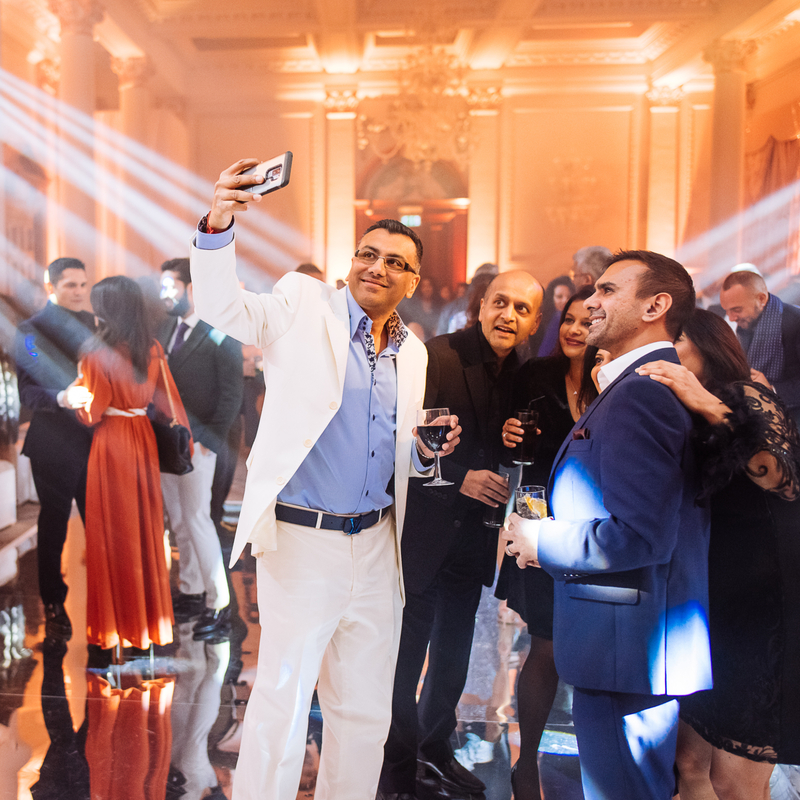 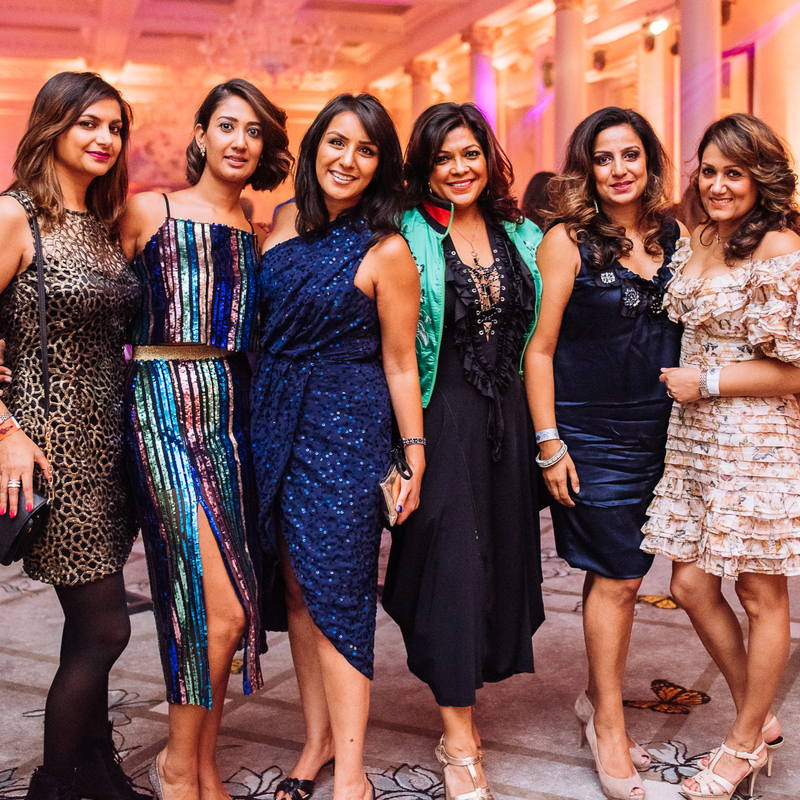 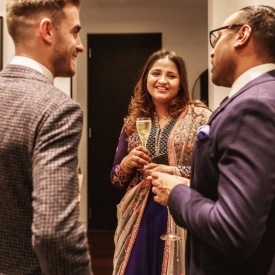 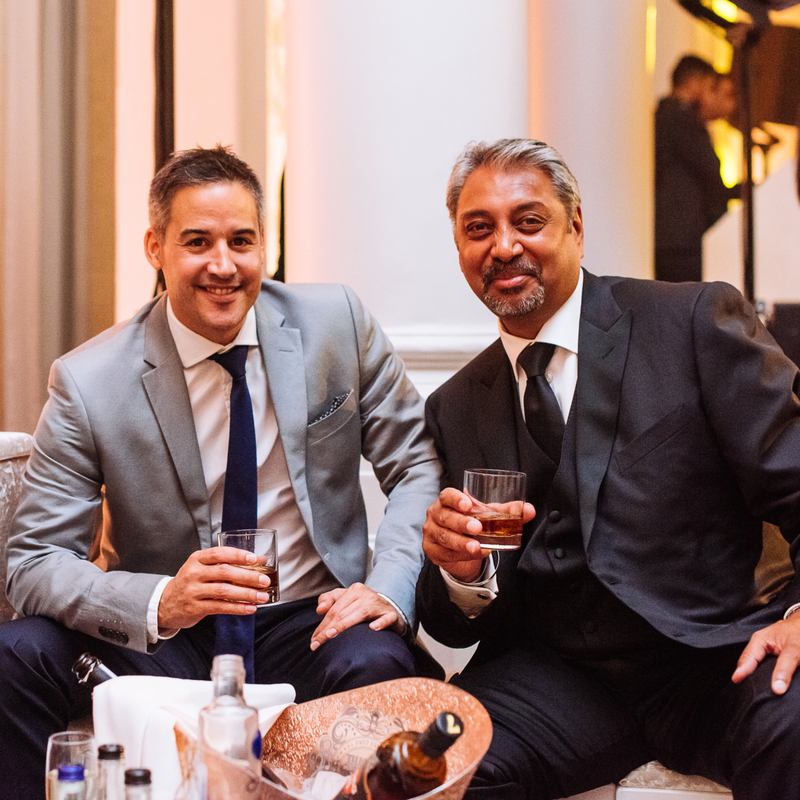 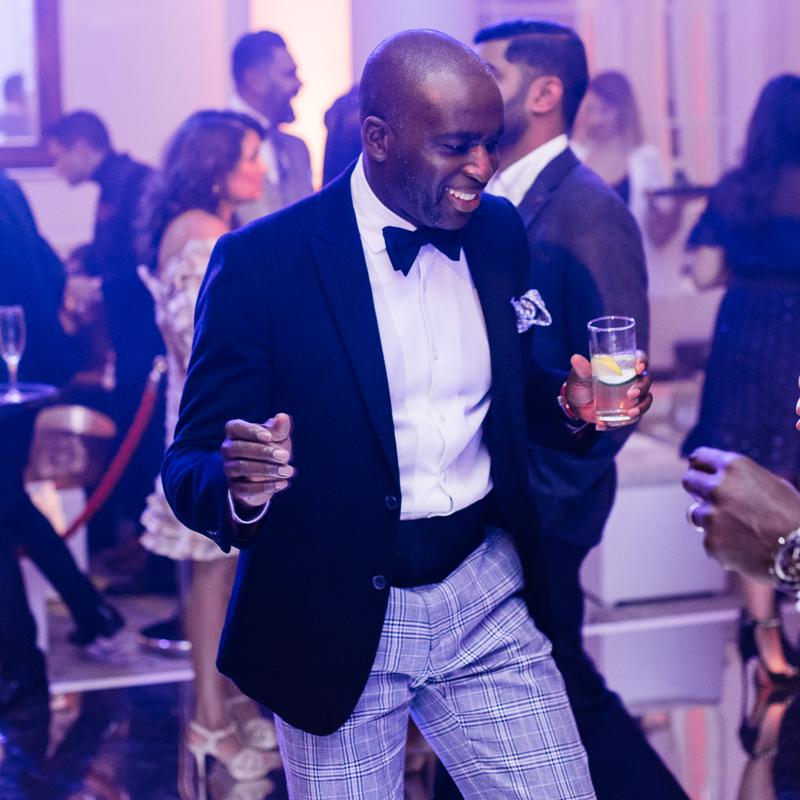 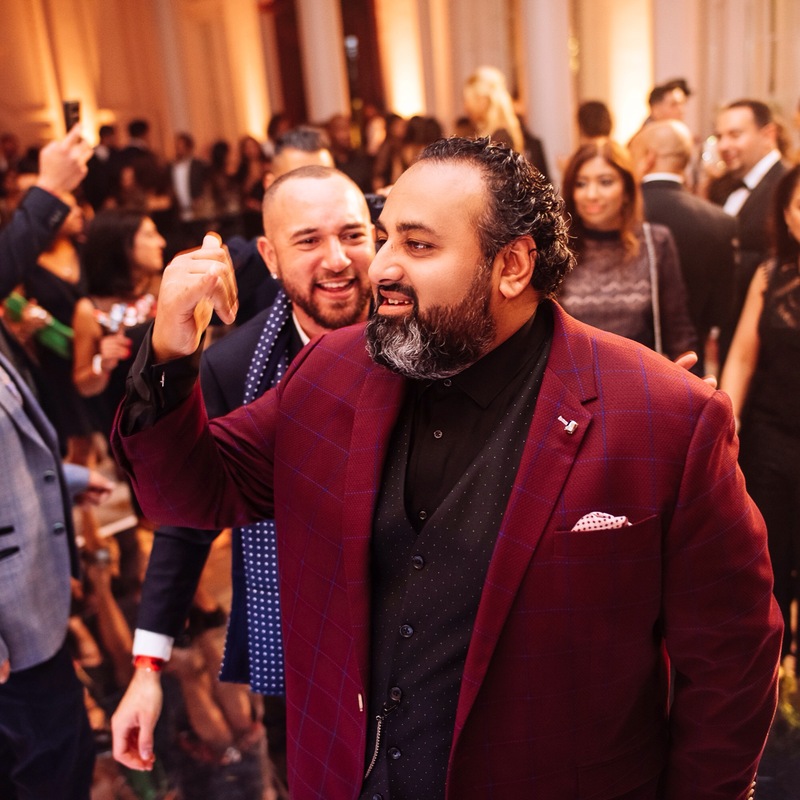 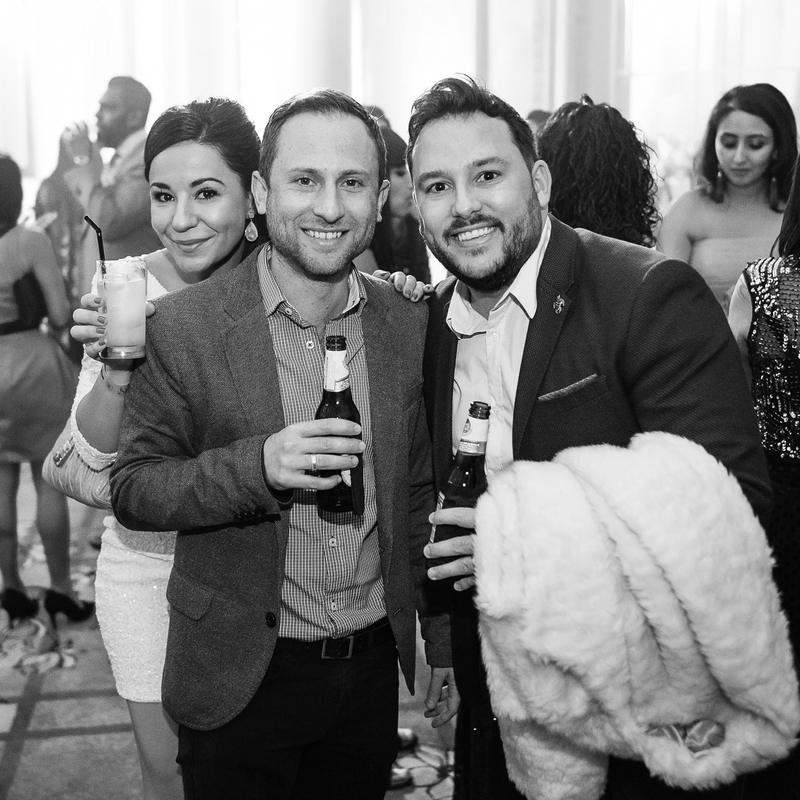 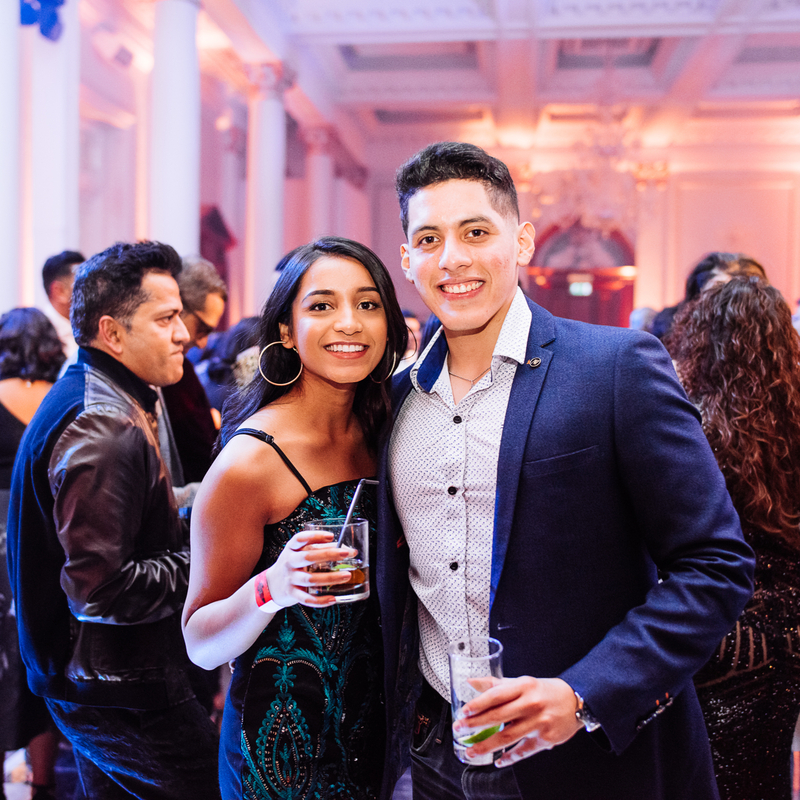 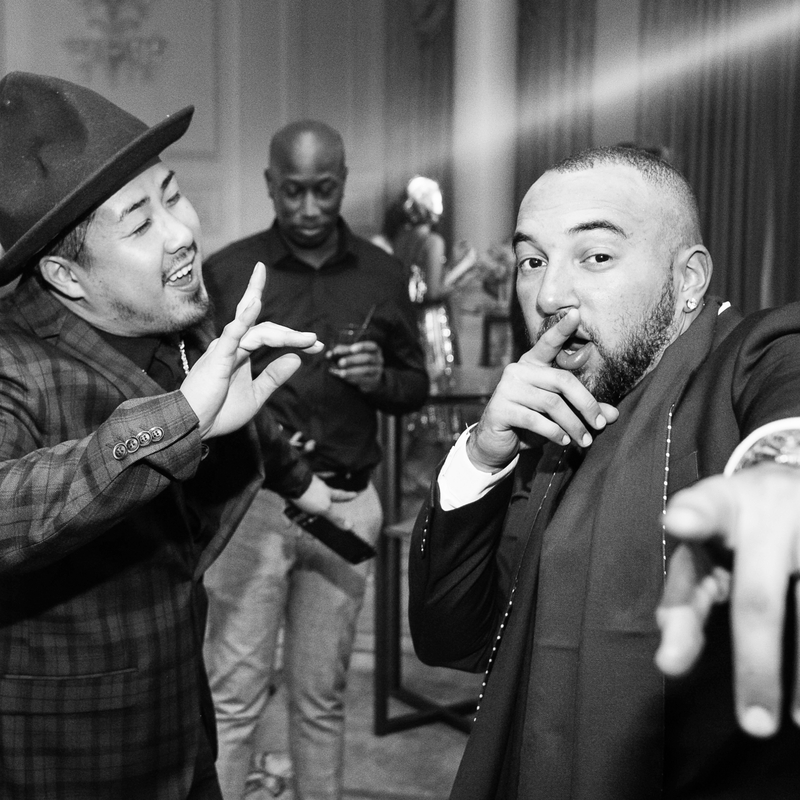 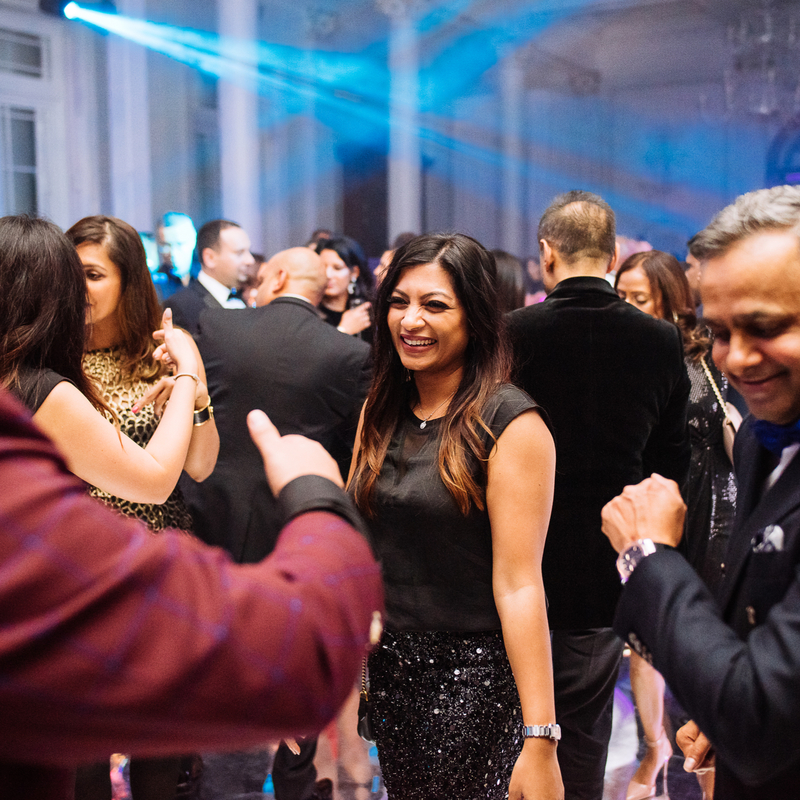 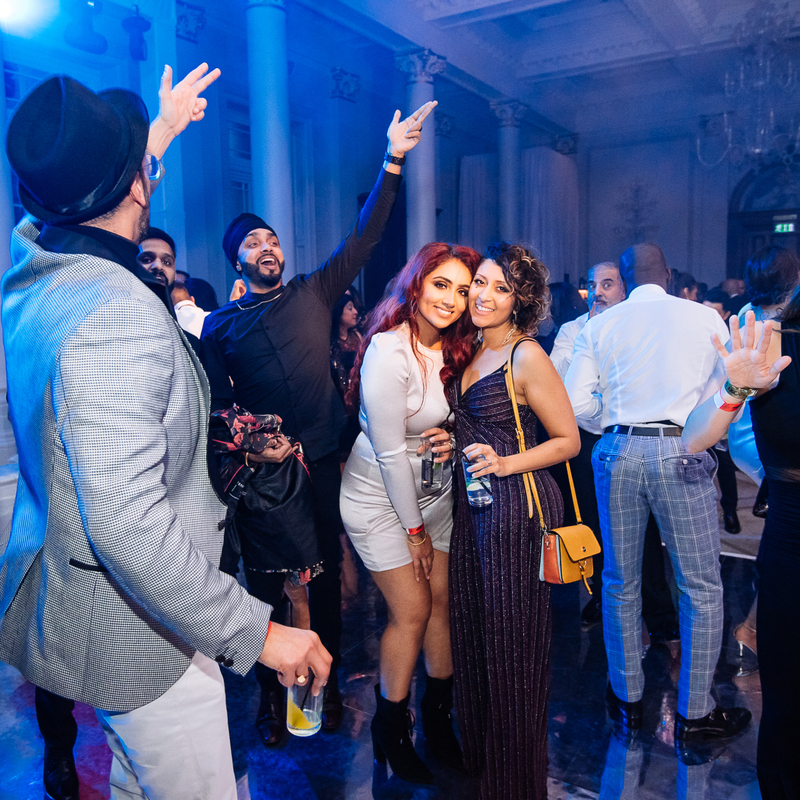 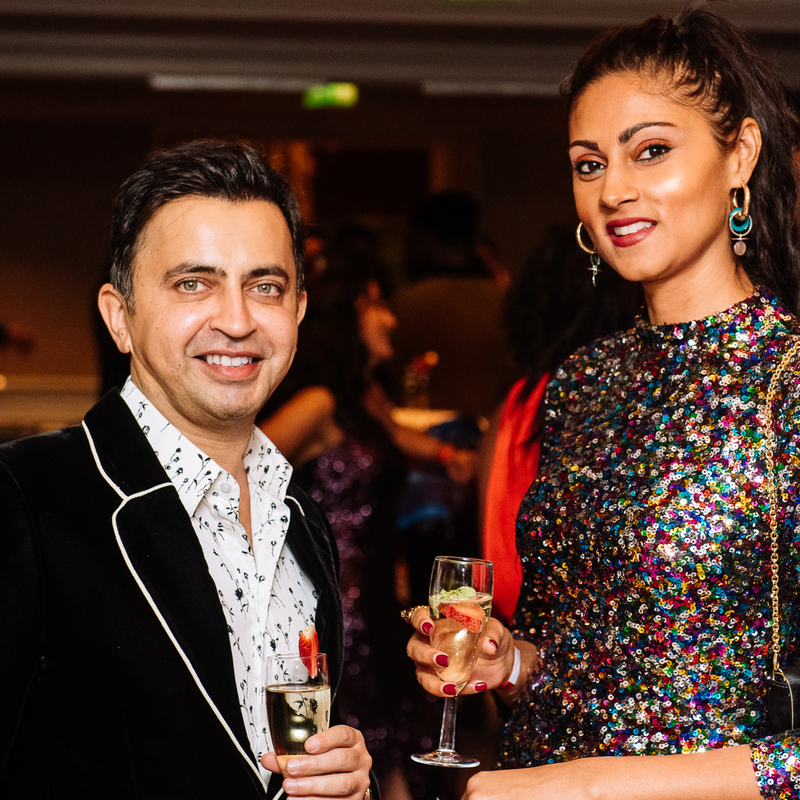 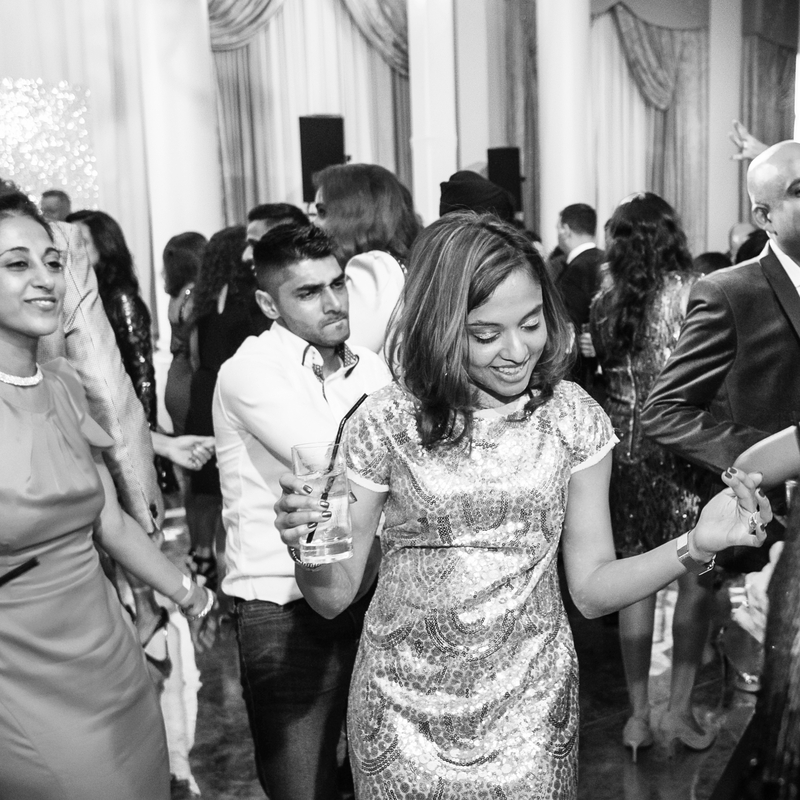 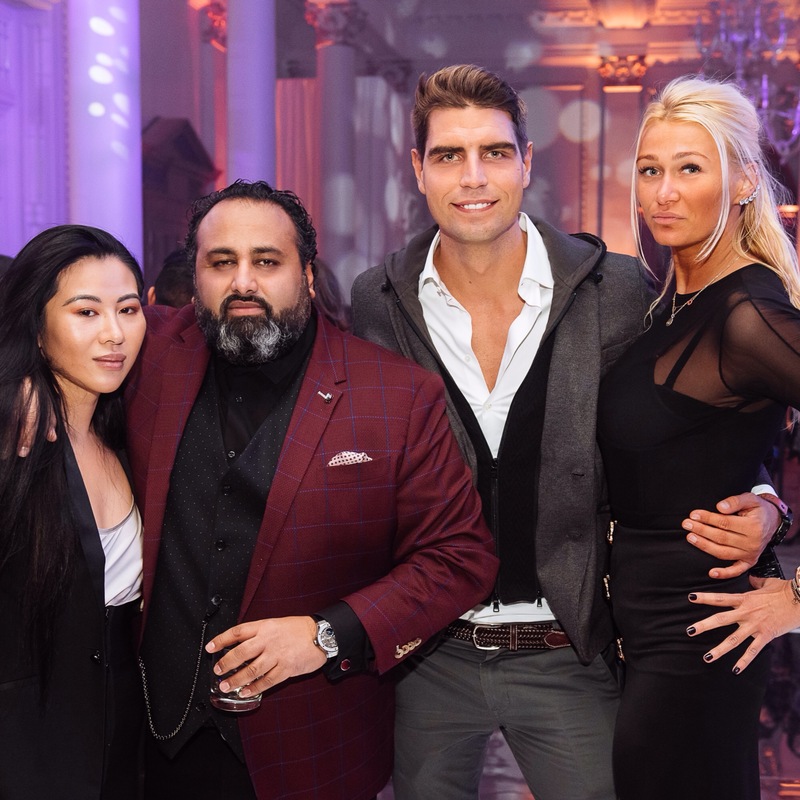 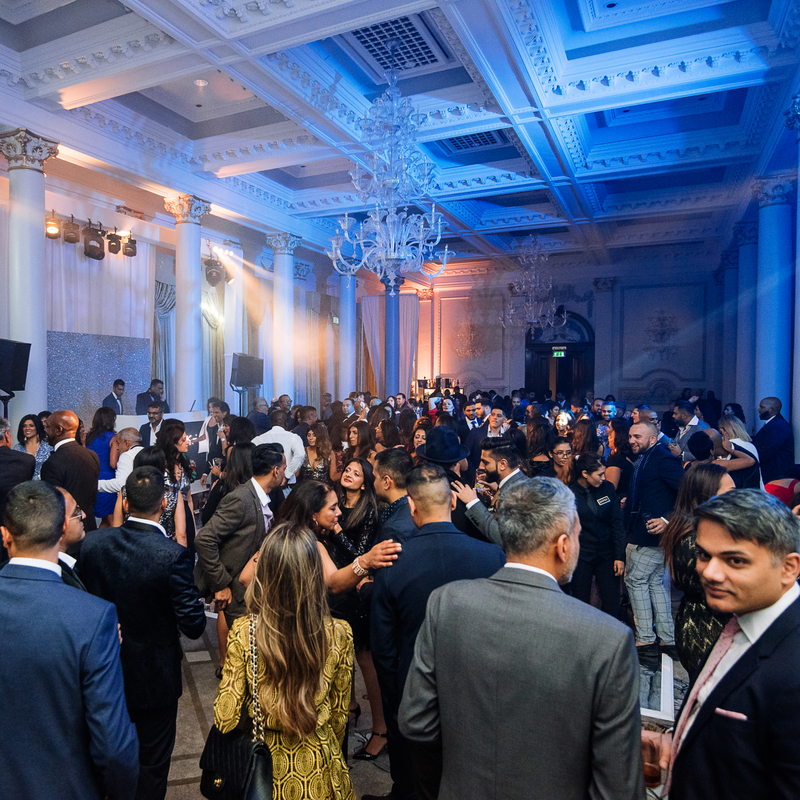 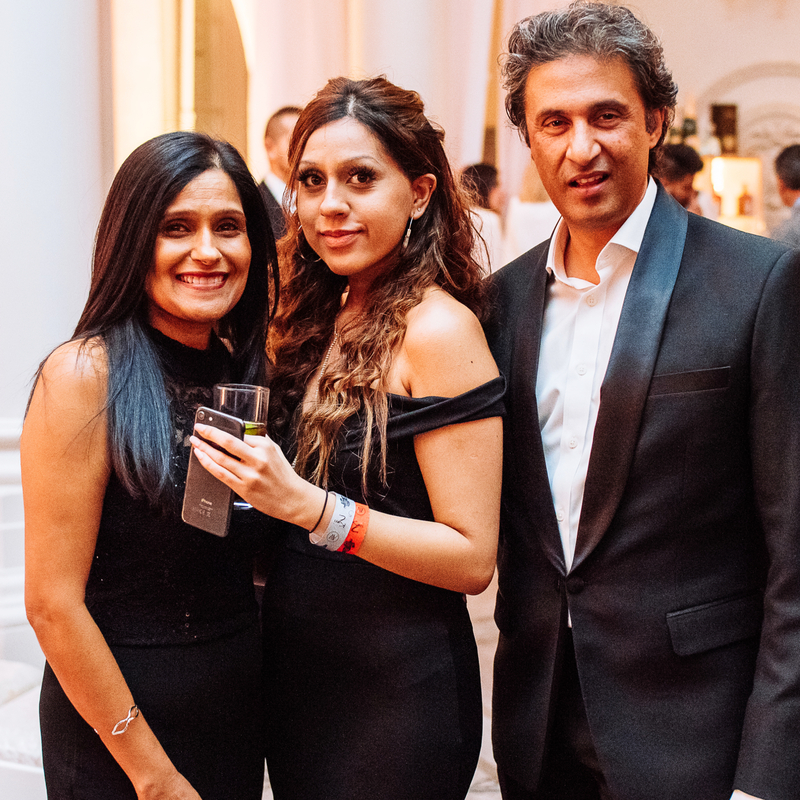 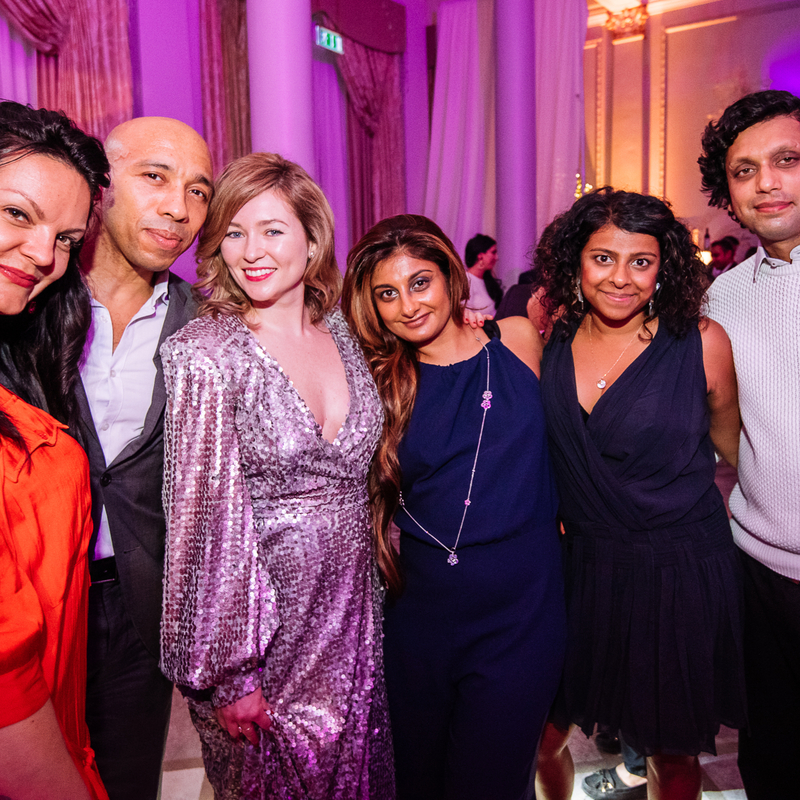 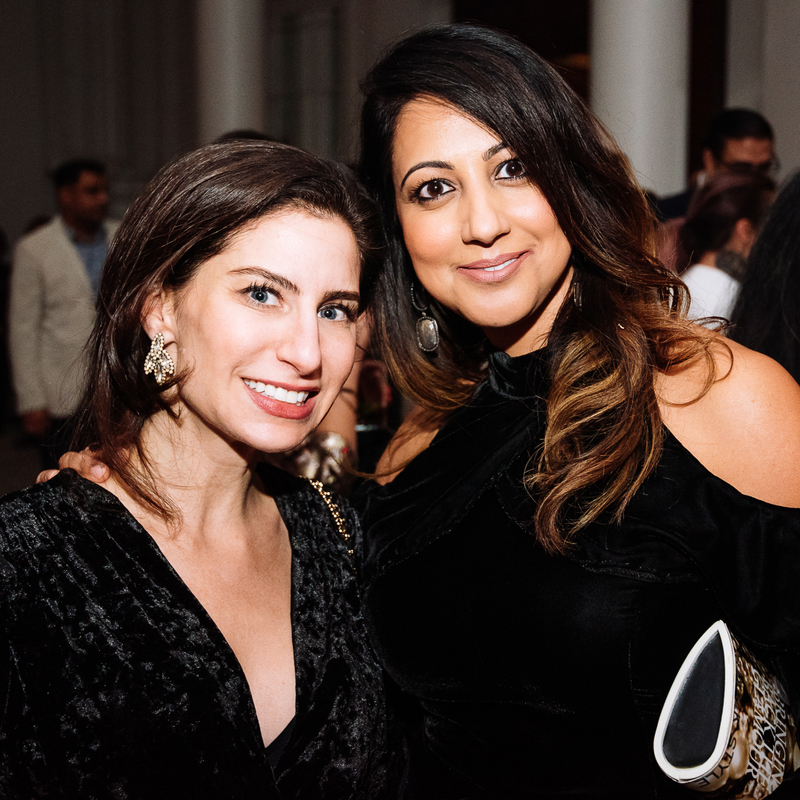 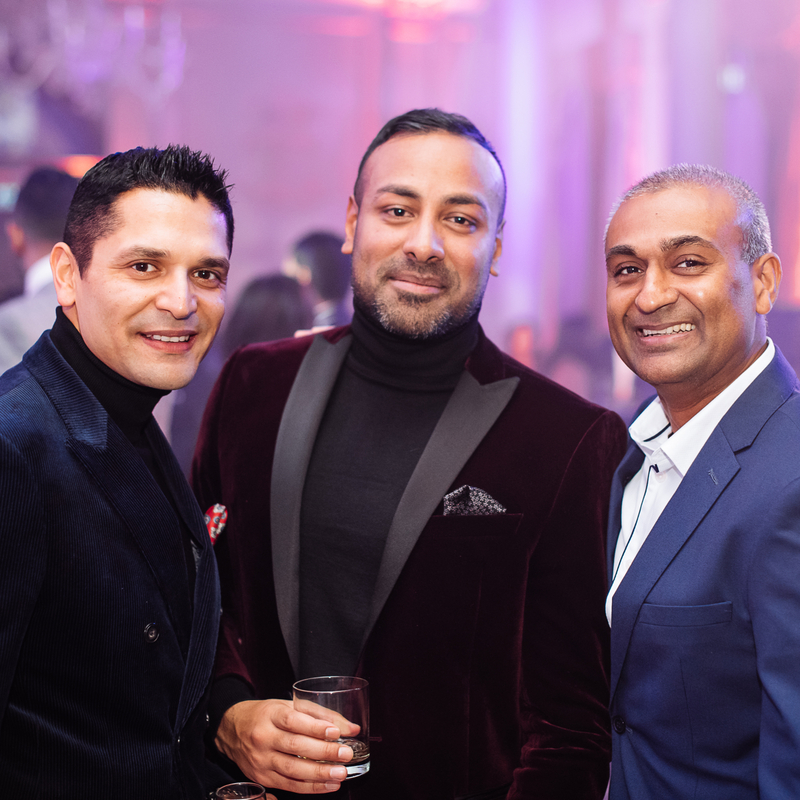 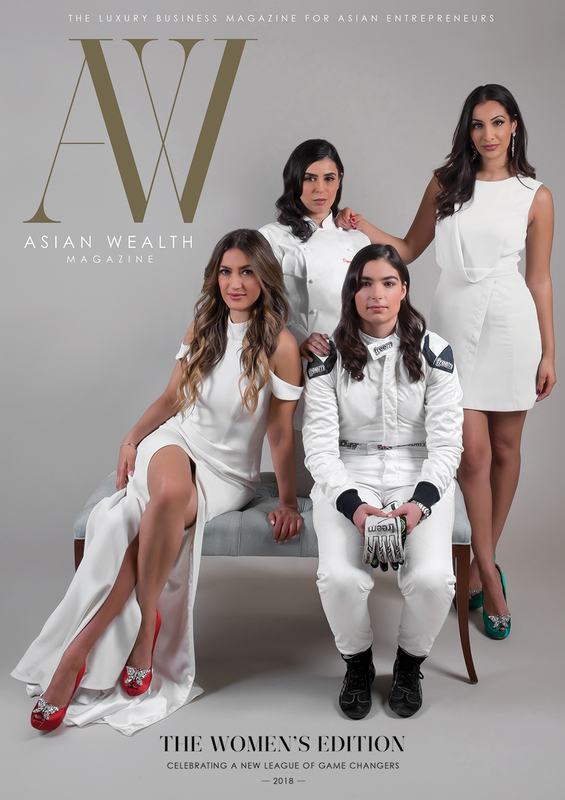 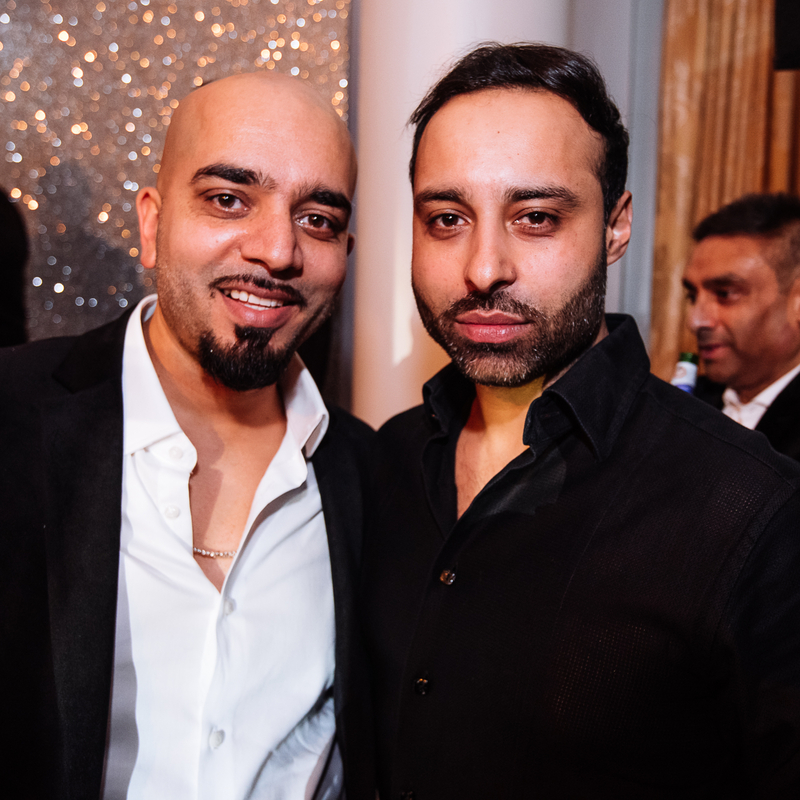 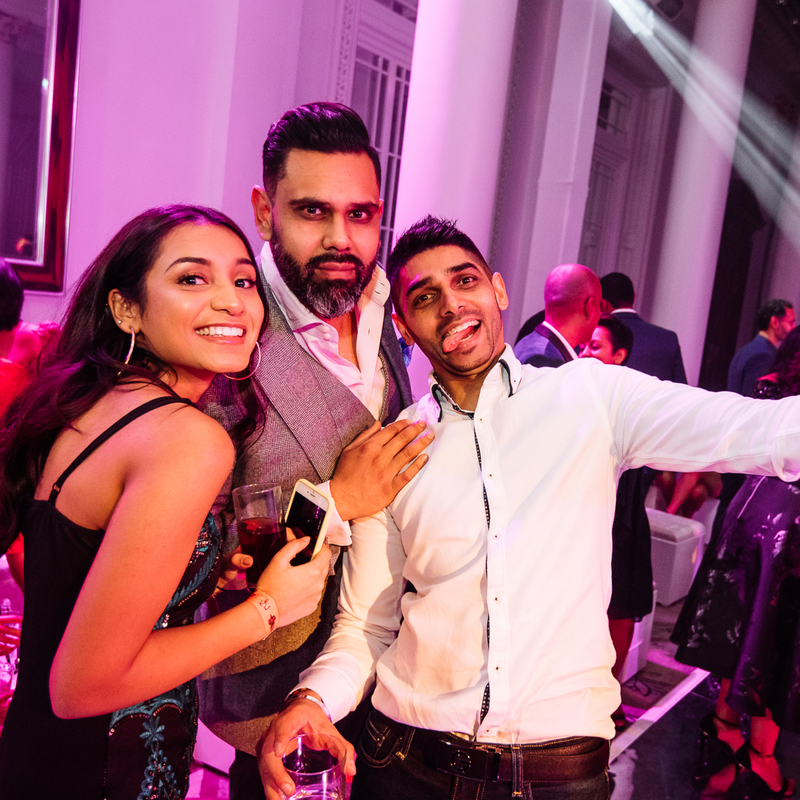 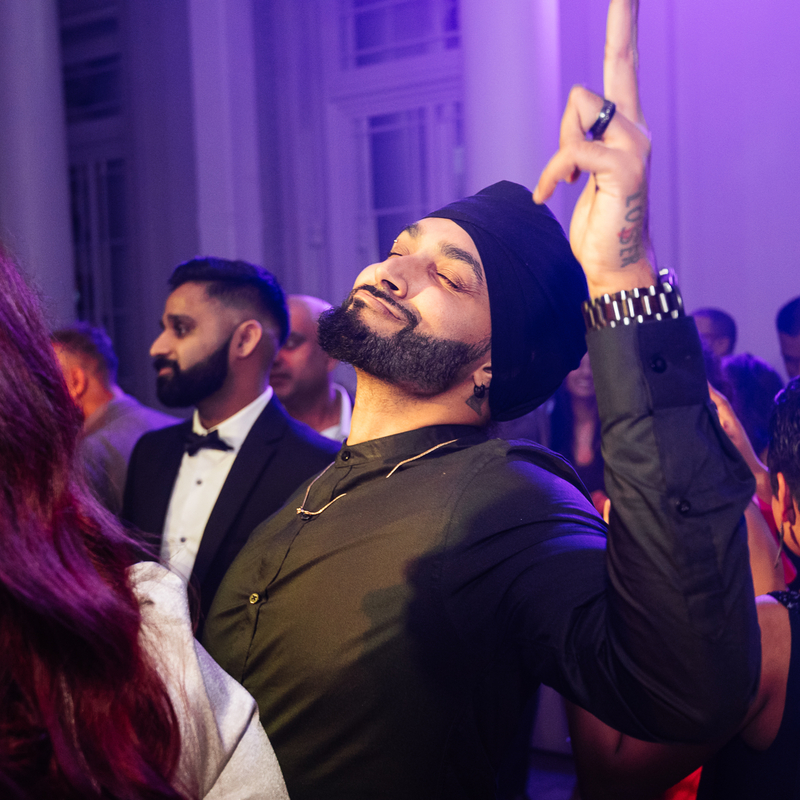 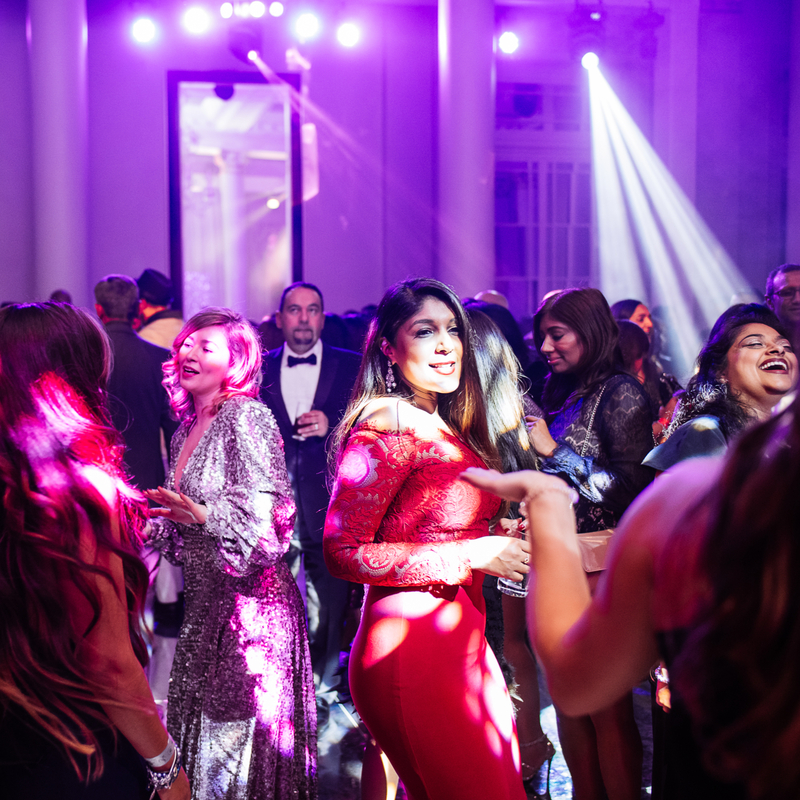 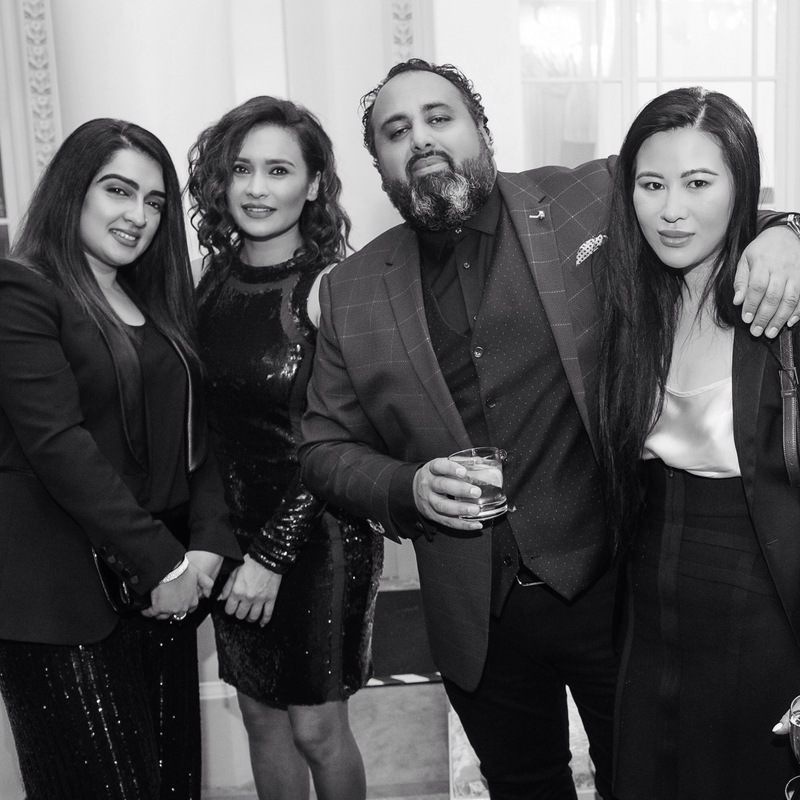 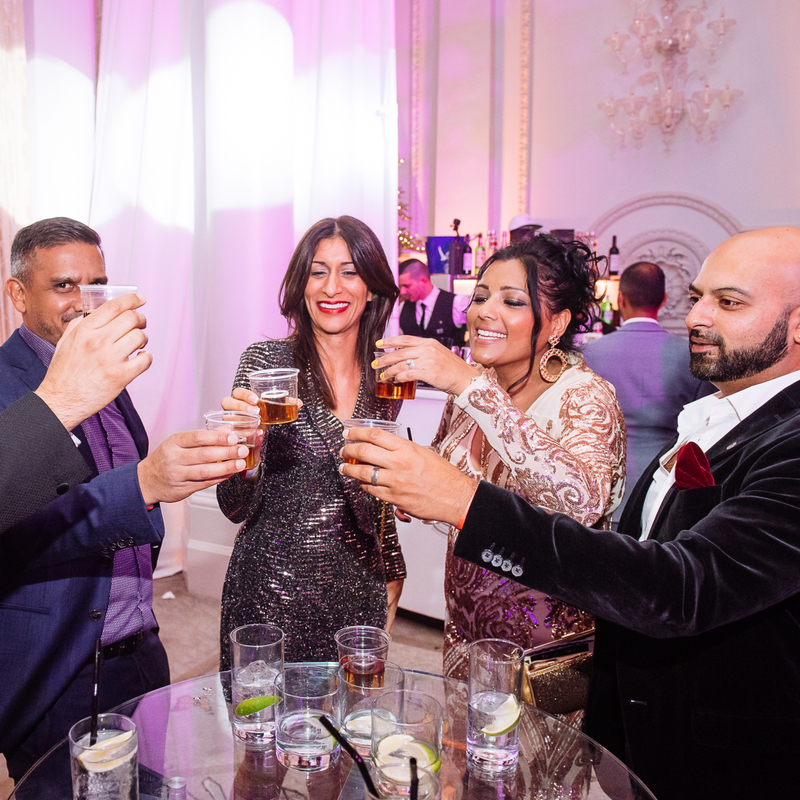 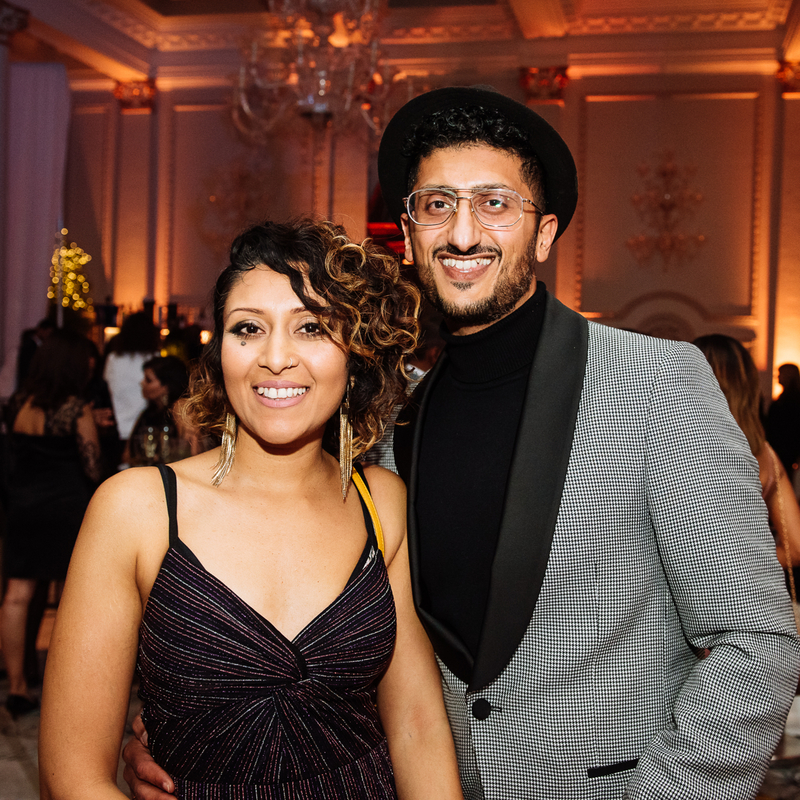 Over 300 guests, including friends and partners of AWM, attended the party hosted by Asian Wealth, Mistique Events, Kari C, and Single or Double Events. 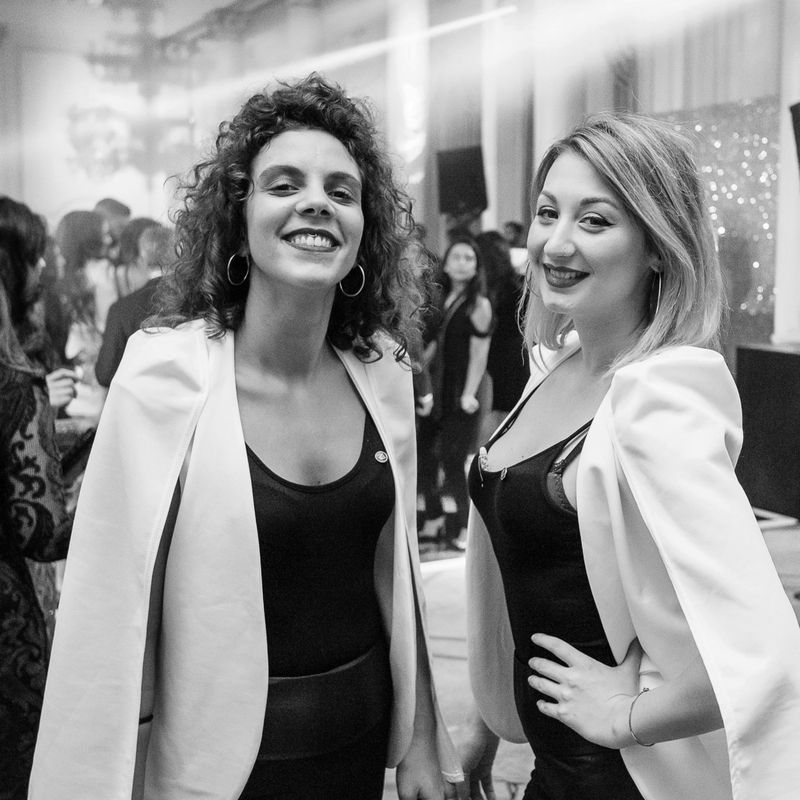 Reminiscent of the Christmas Eve parties of the 90s, the end of year bash offered a real sense of nostalgia. 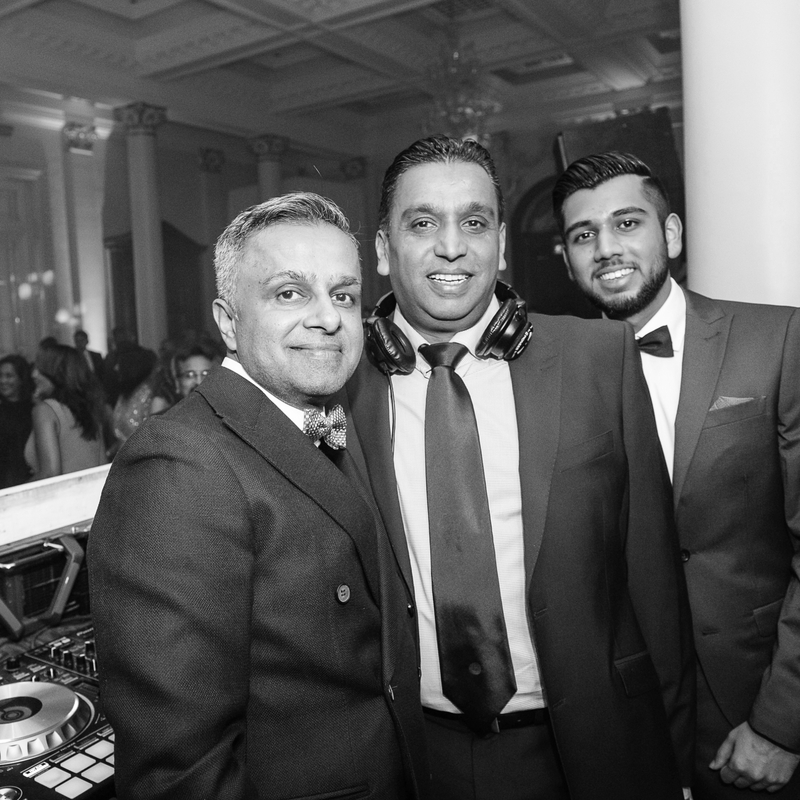 Even the original DJ Raj returned to the legendary event to spin tunes from the 80s and 90s. 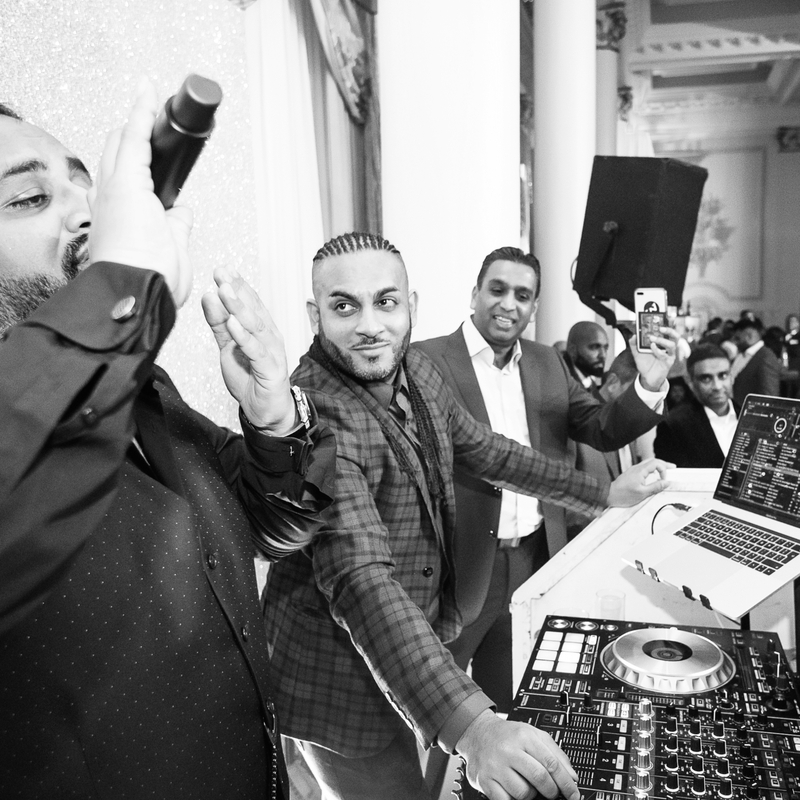 Except this year, he was accompanied by his young son Reiss who took to the decks himself. 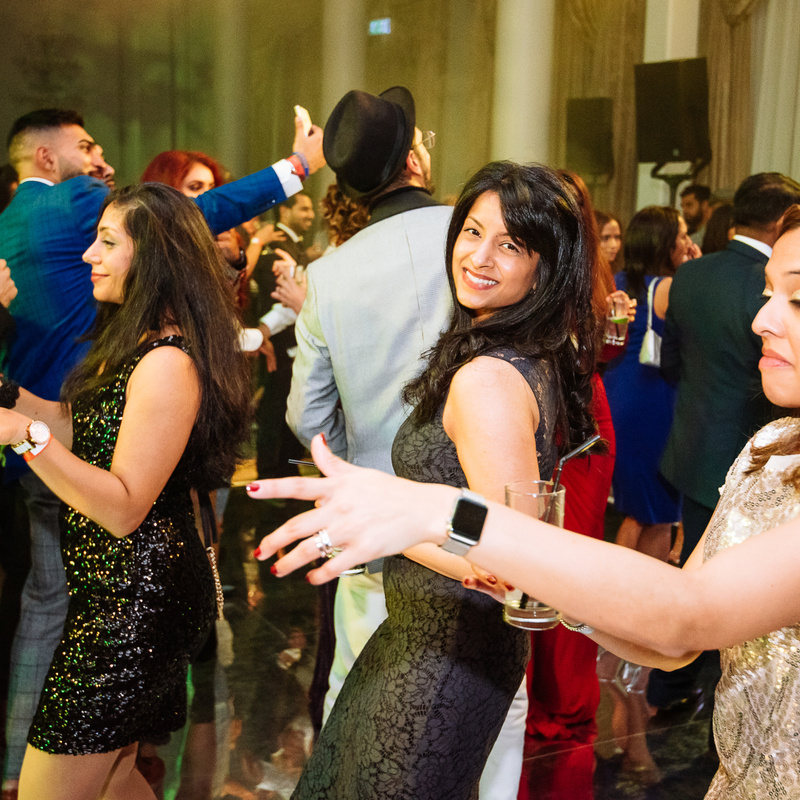 Later, Jags Klimax mixed up the old and the new tunes to finish the evening. 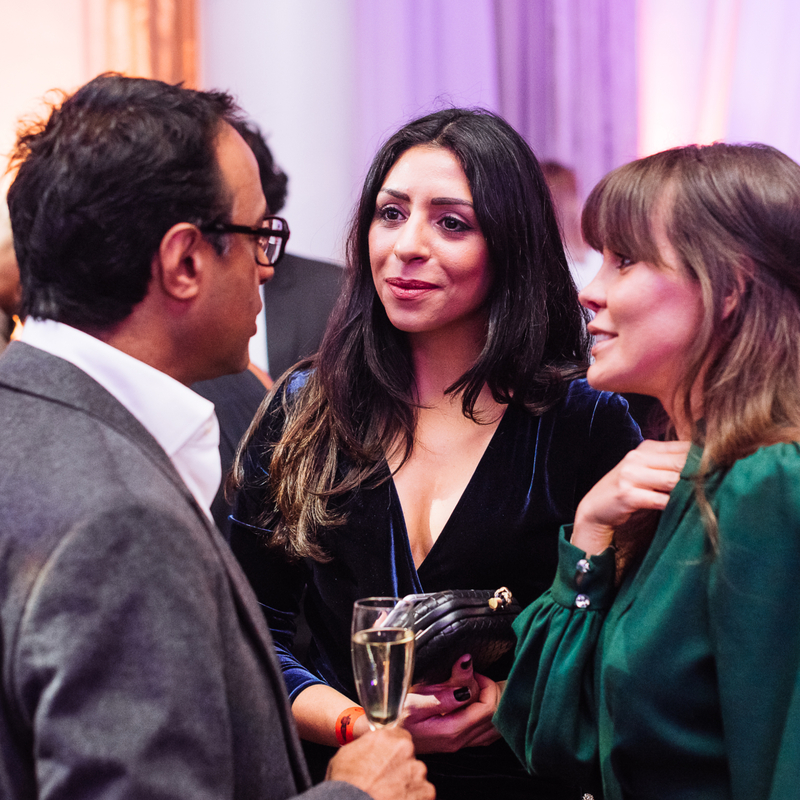 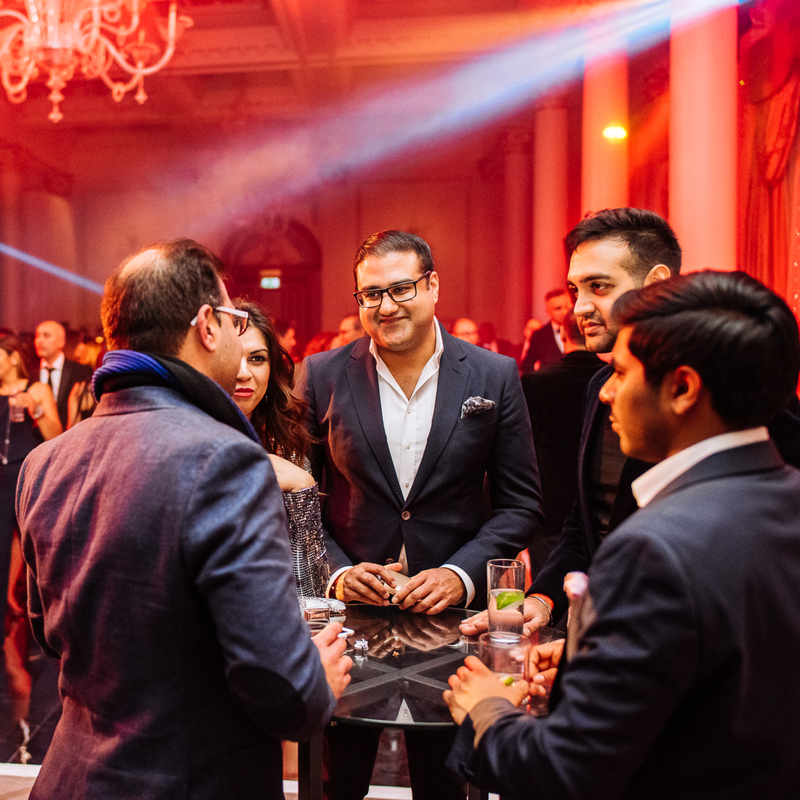 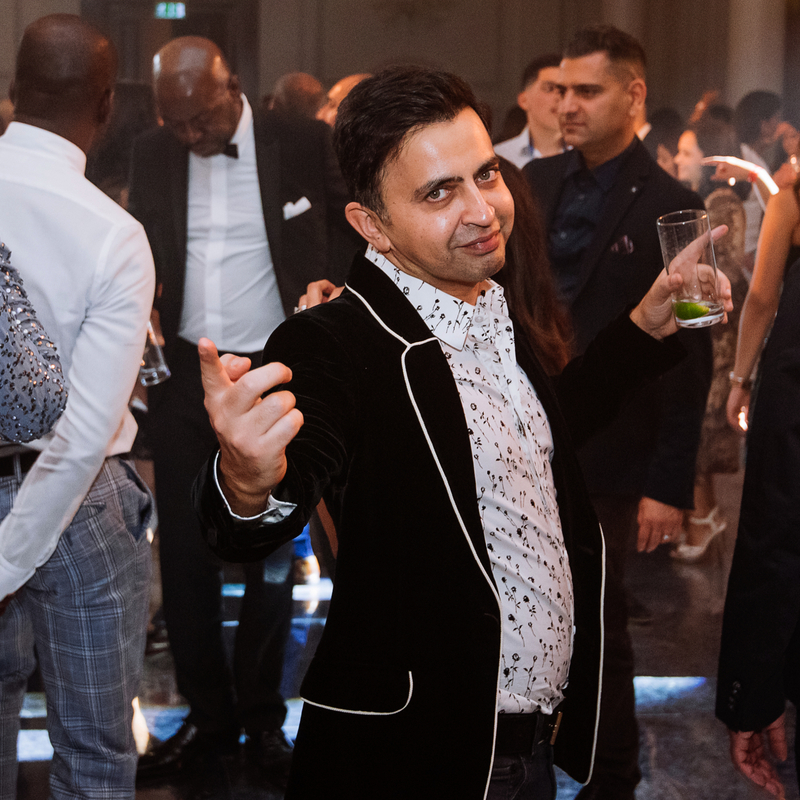 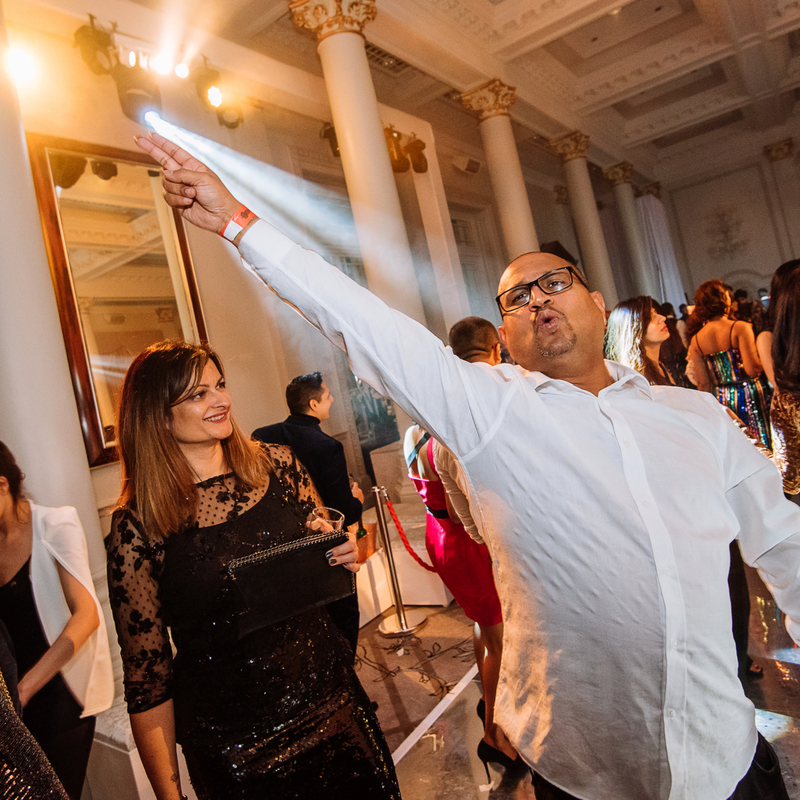 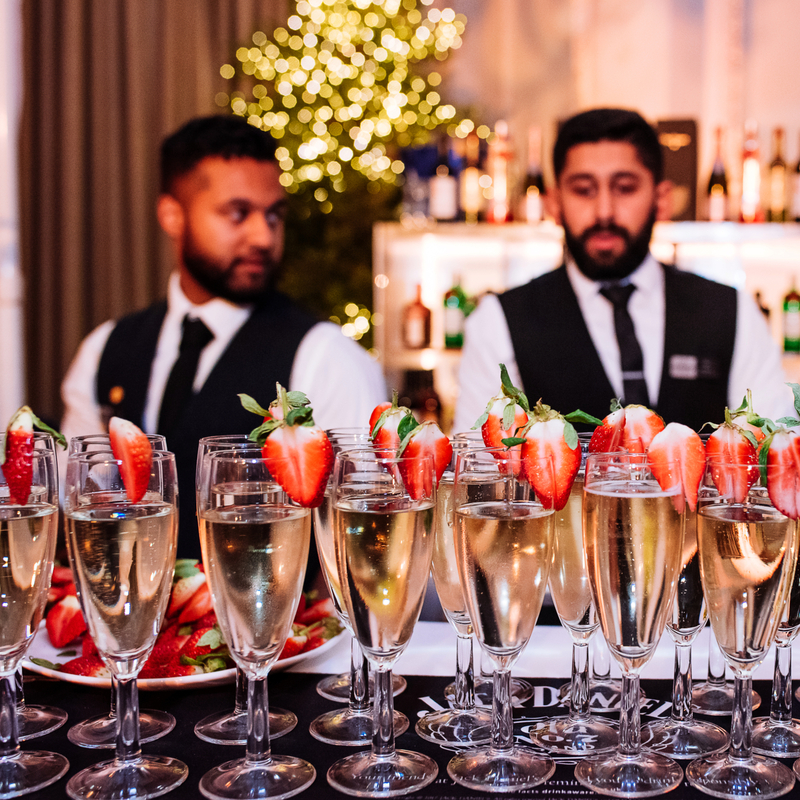 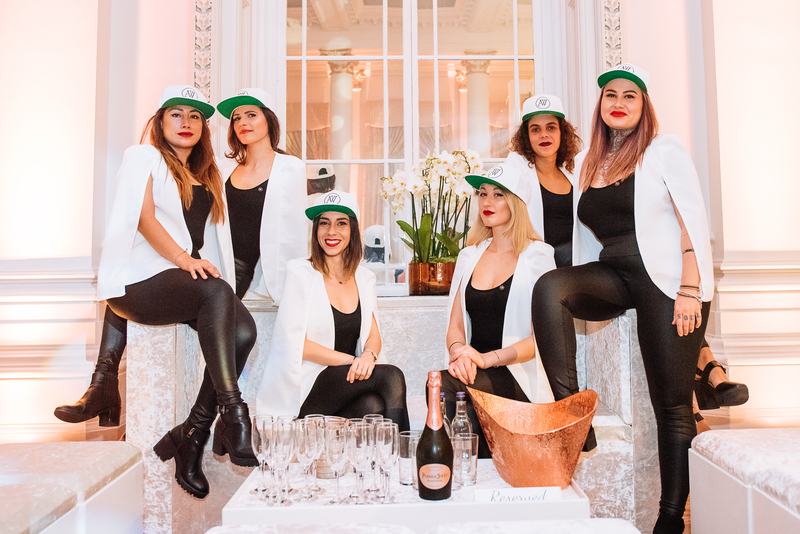 Bespoke bar company and event partner Single or Double Events ensured drinks were flowing all night, particularly Perrier Jouet’s Grand Brut Champagne and Blason Rose Champagne. 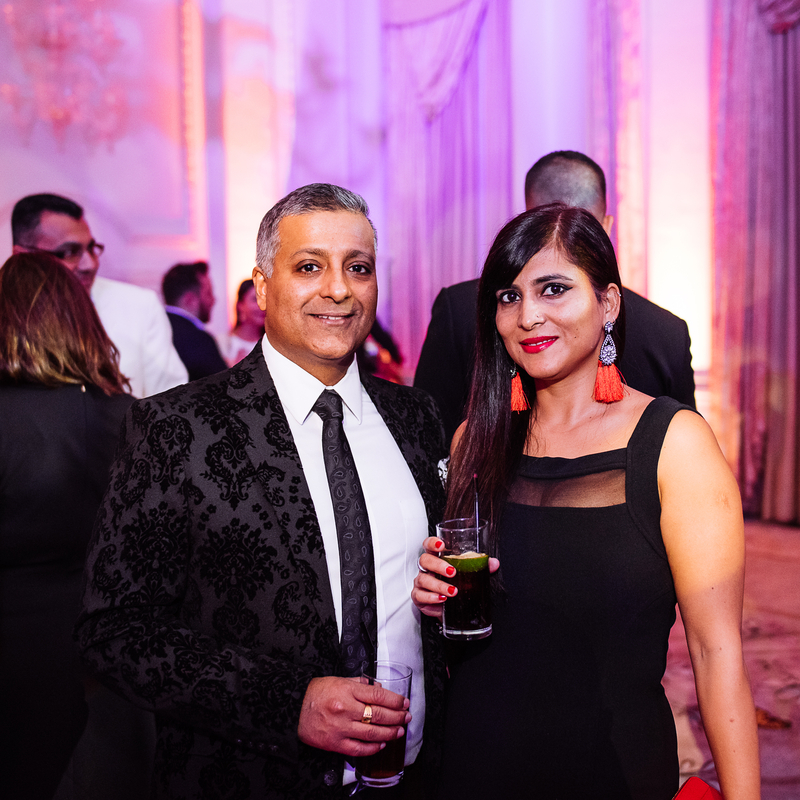 Guests enjoyed small plate appetizers by Sapna Caterers, including chilli paneer, cassava, aloo tikki, samosas and kebabs. 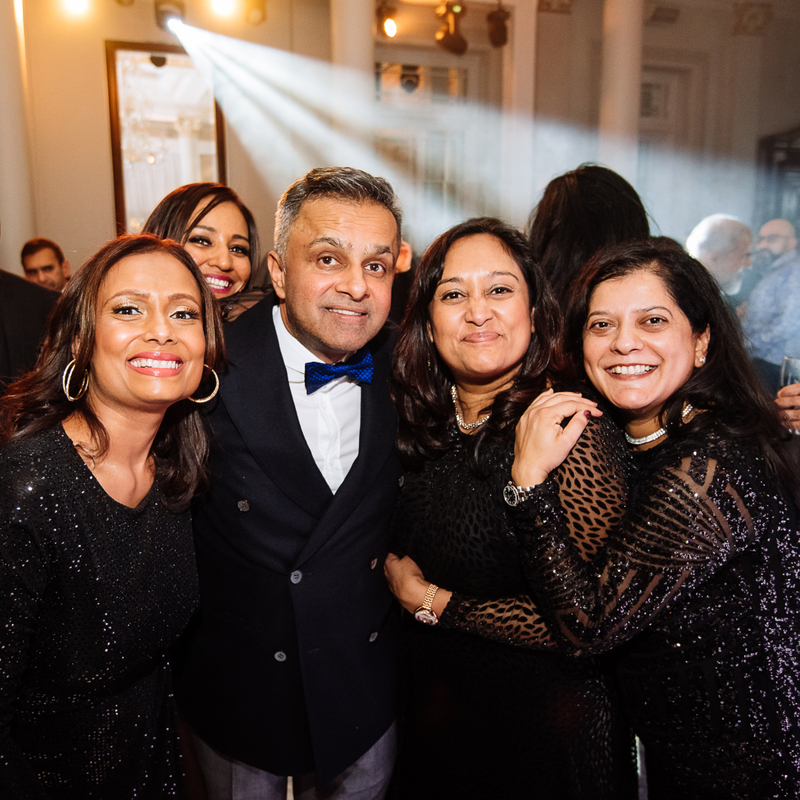 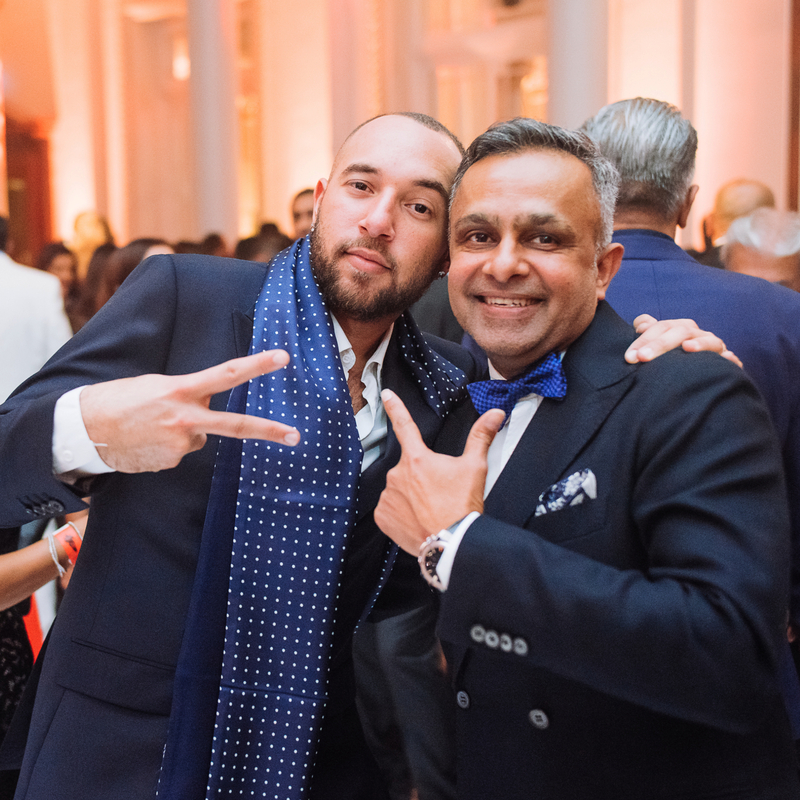 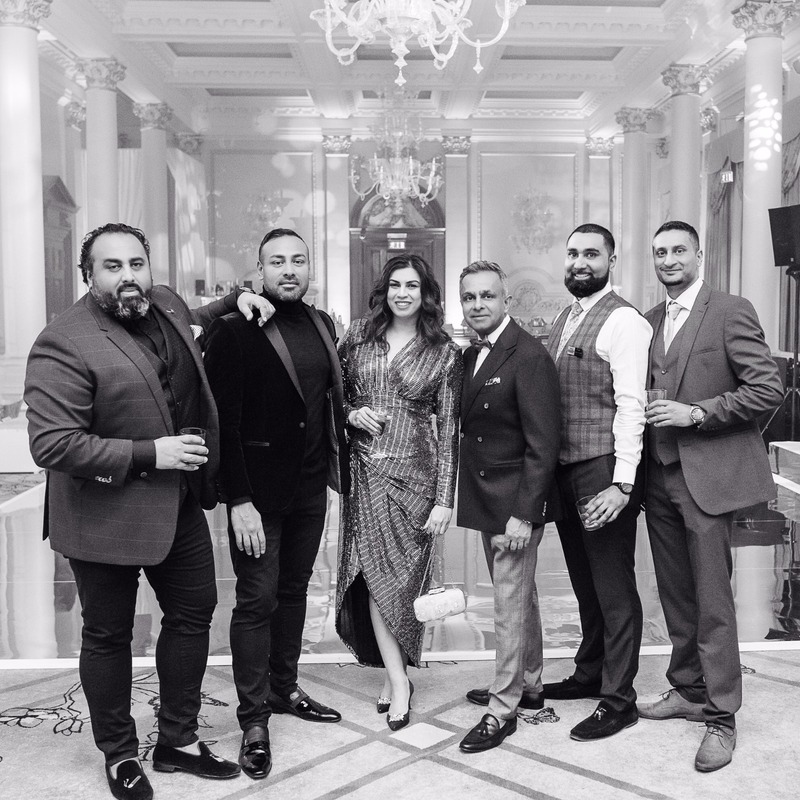 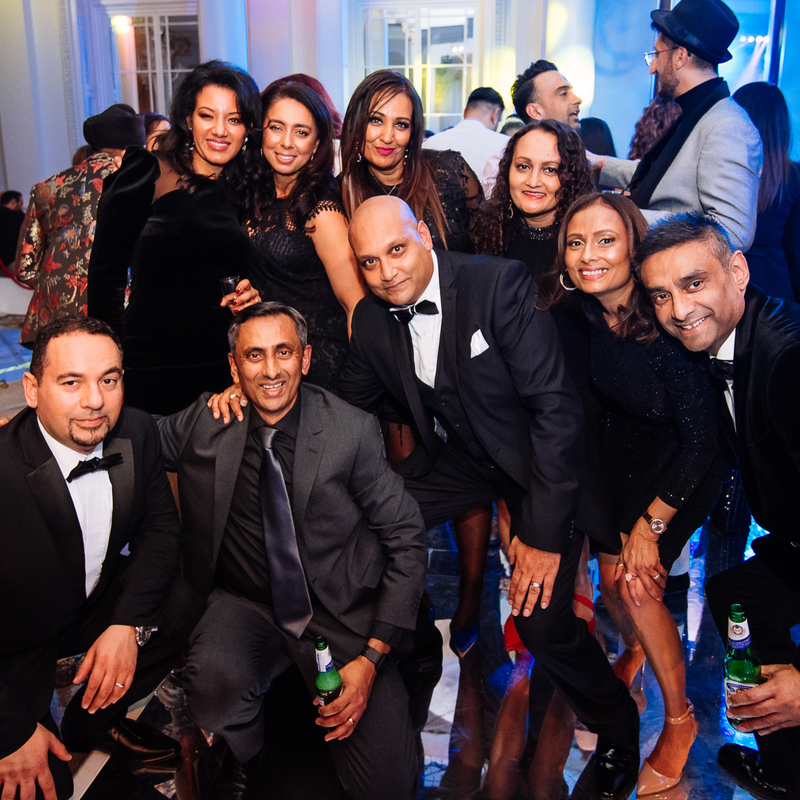 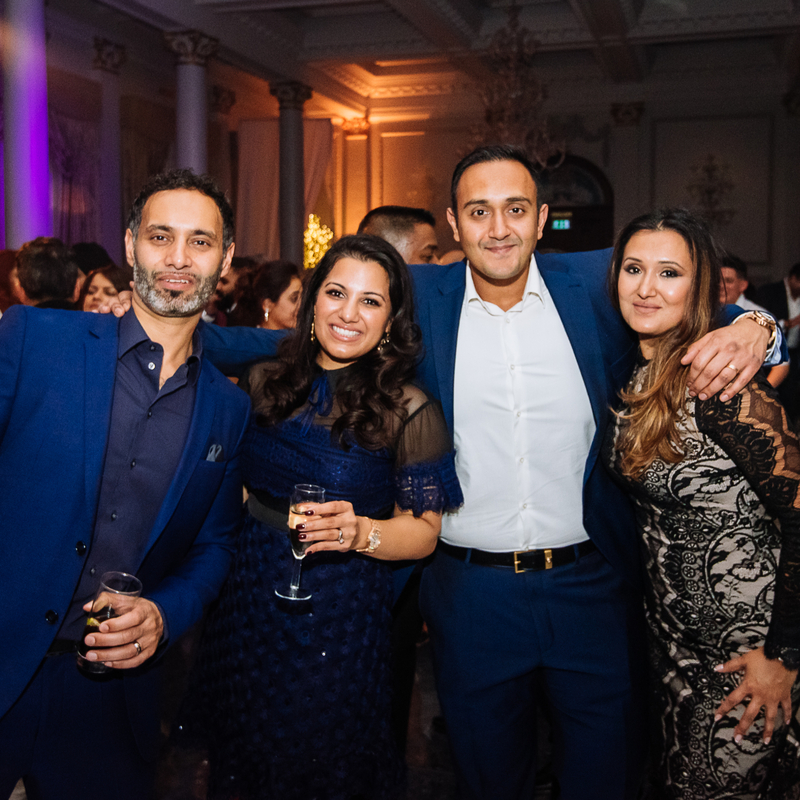 “A great way to start off the festive season with our event at Langham having an absence for nearly 20 years it was such an awesome night catching up with old and friends and new faces. 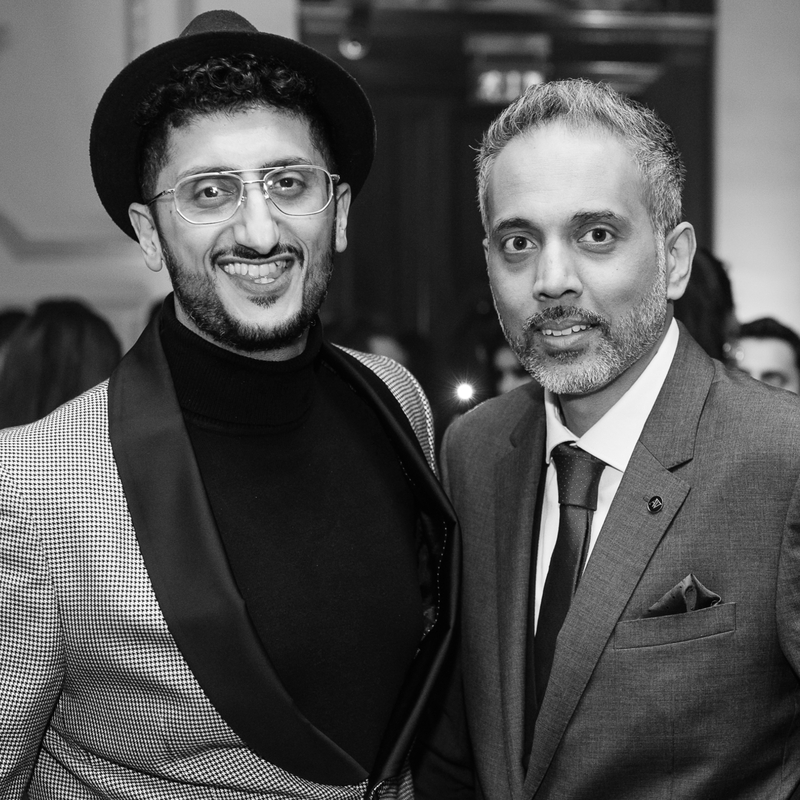 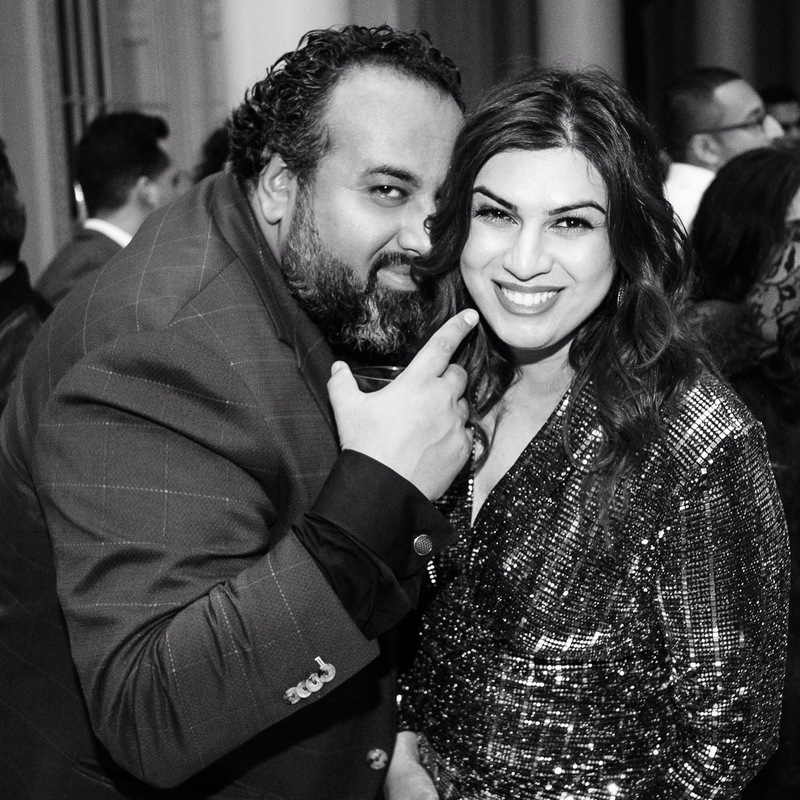 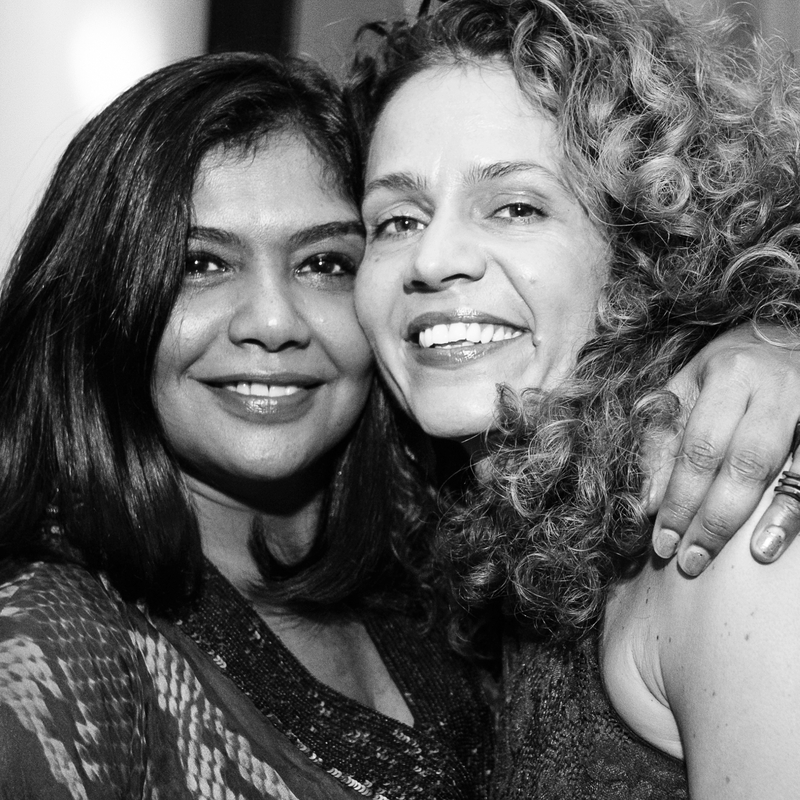 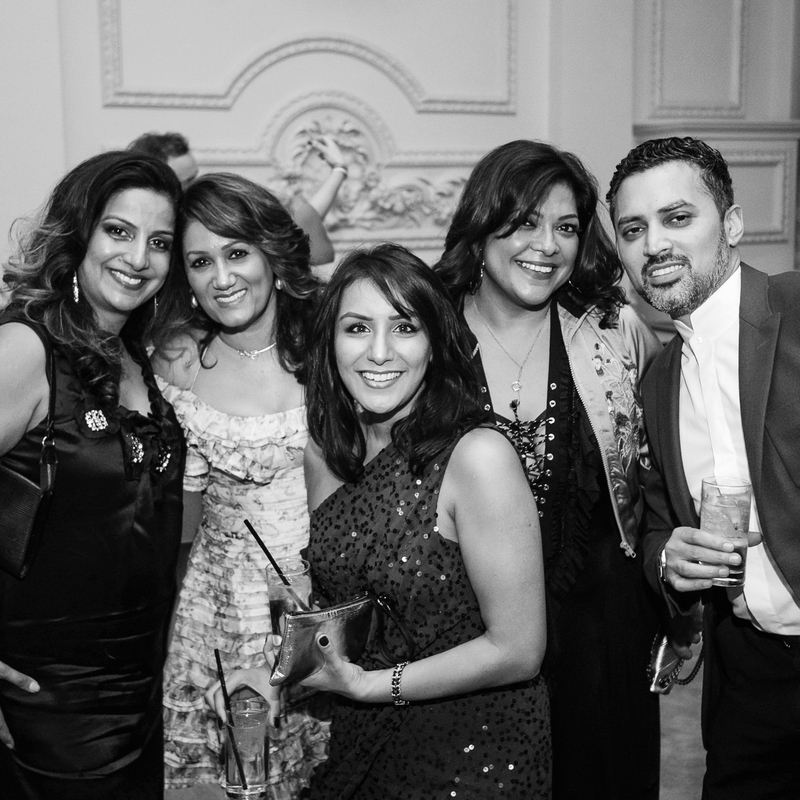 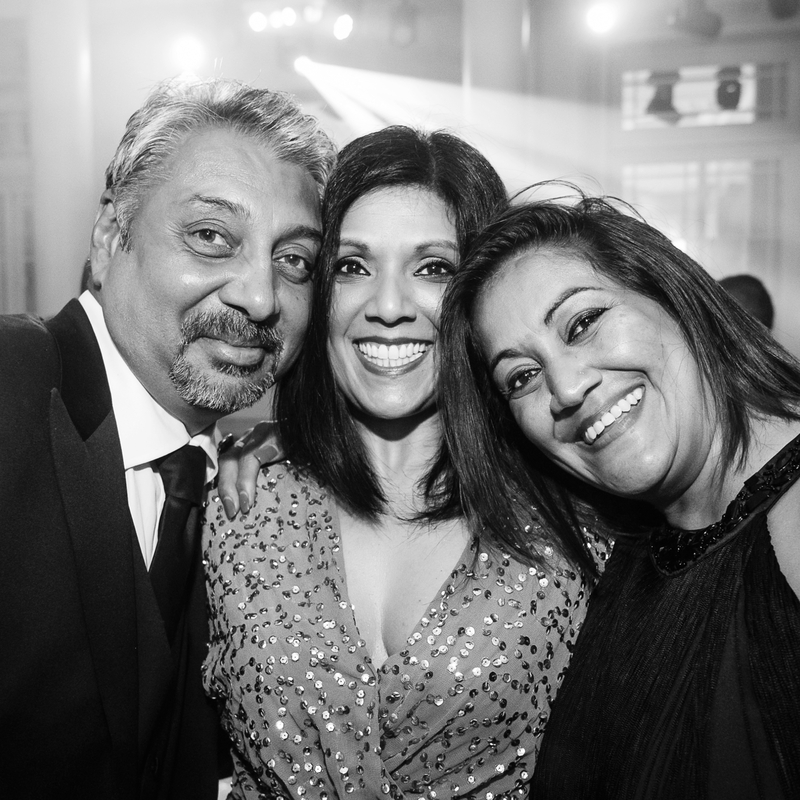 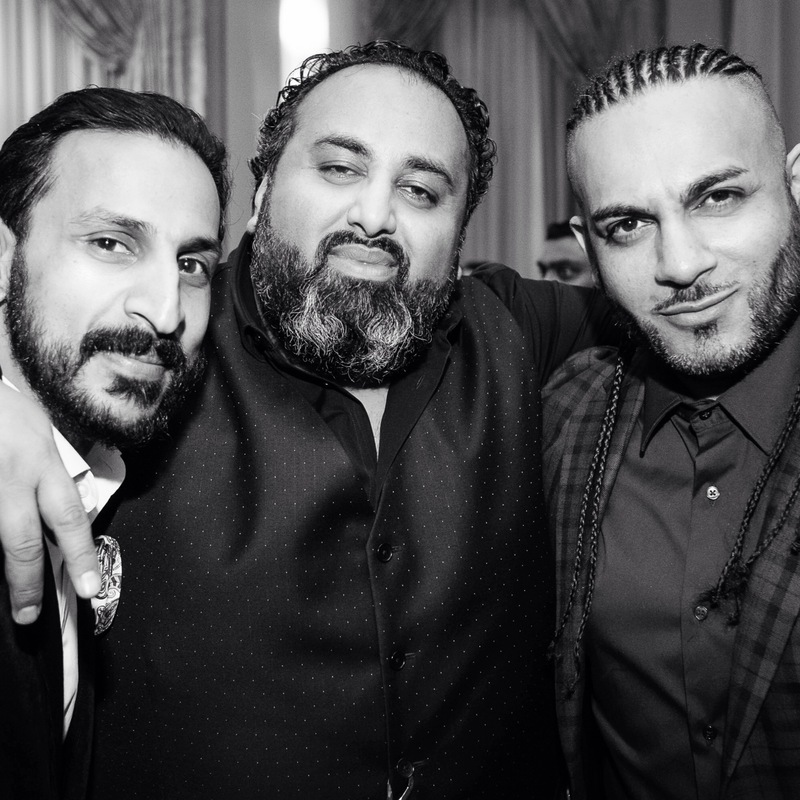 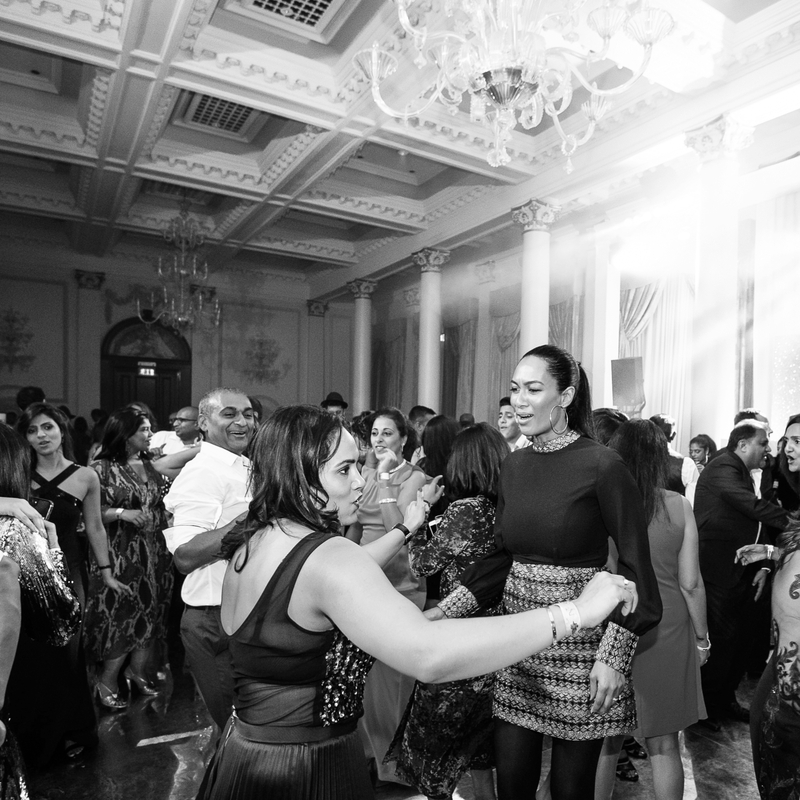 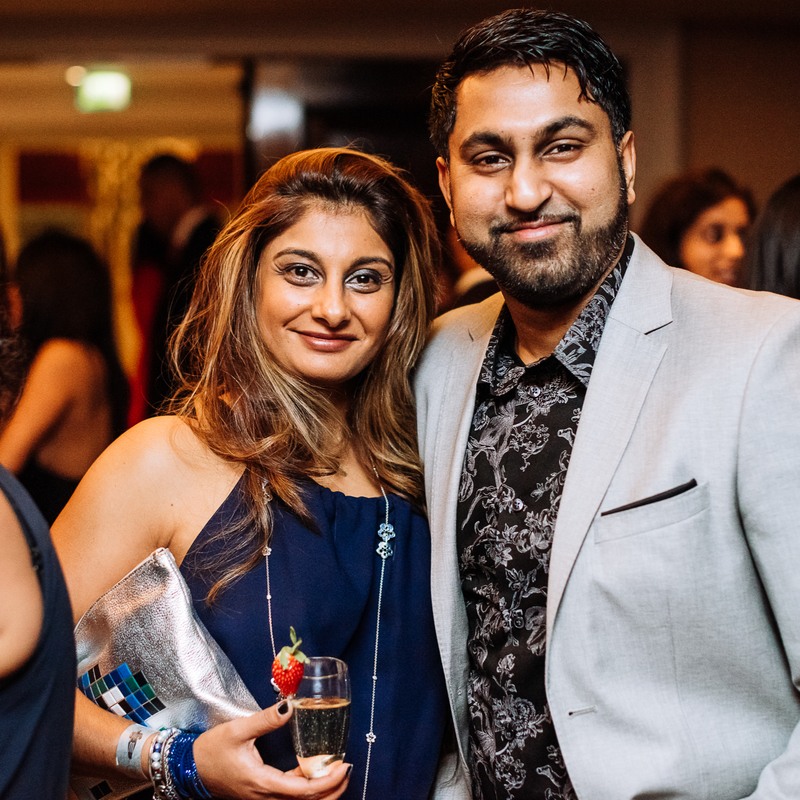 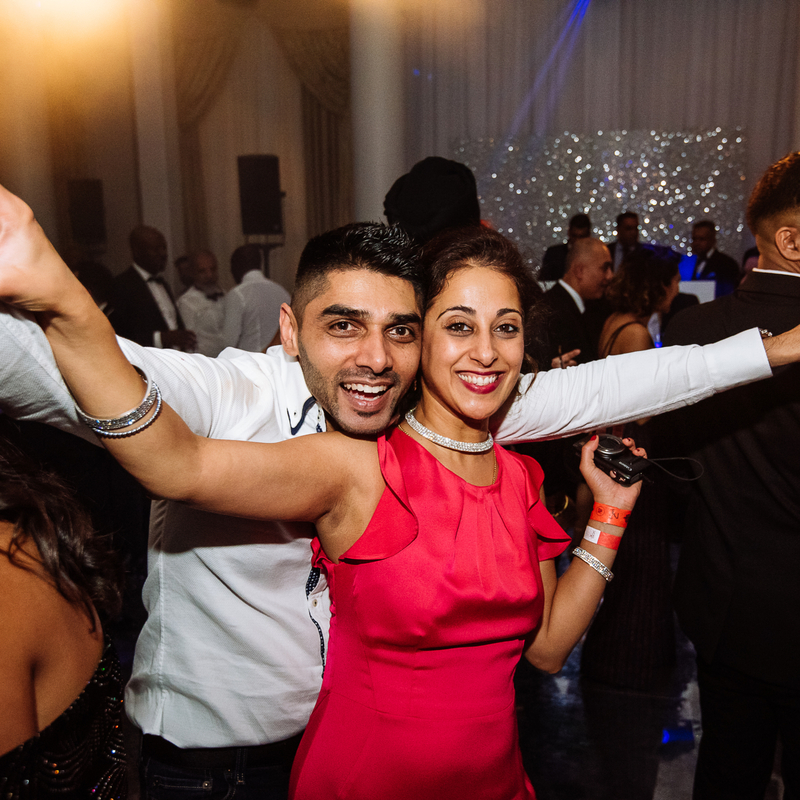 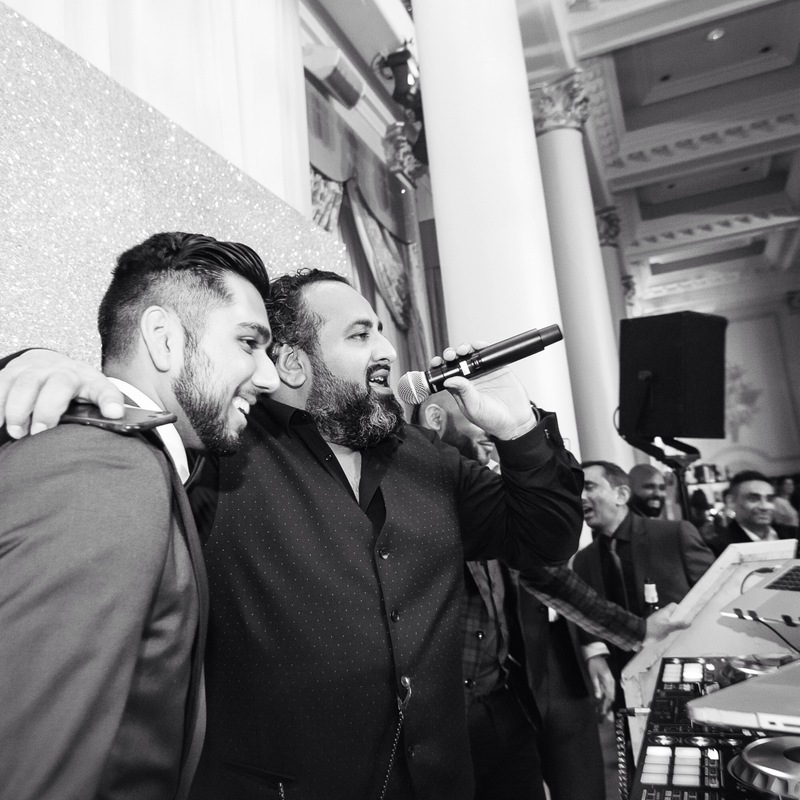 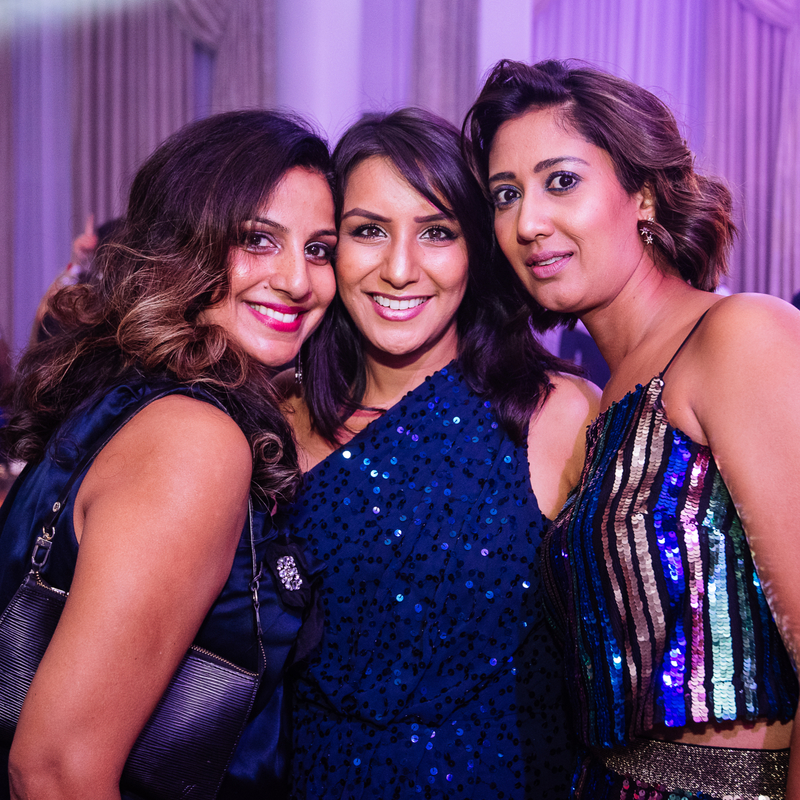 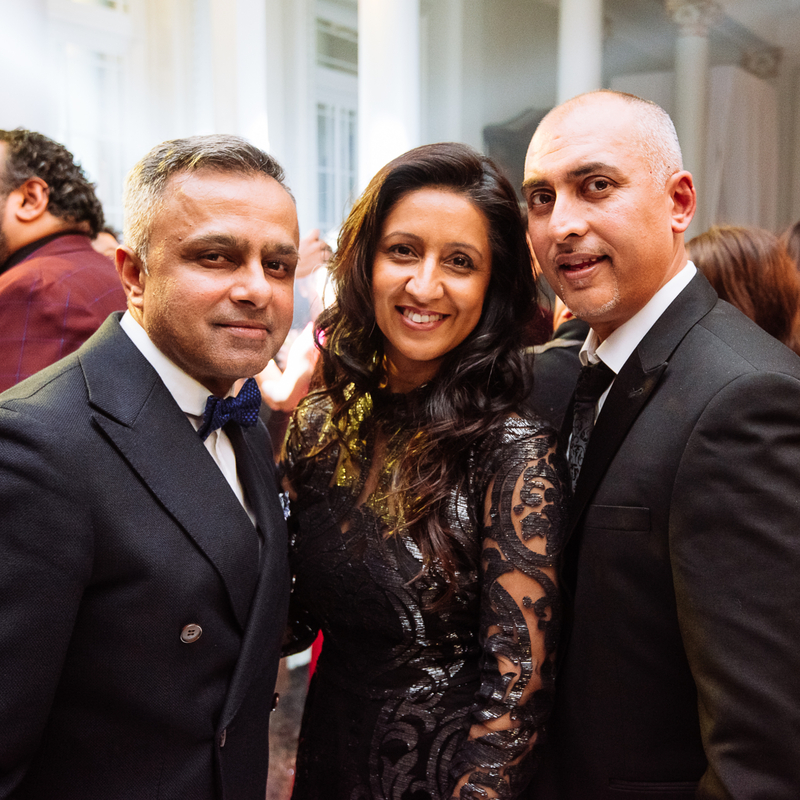 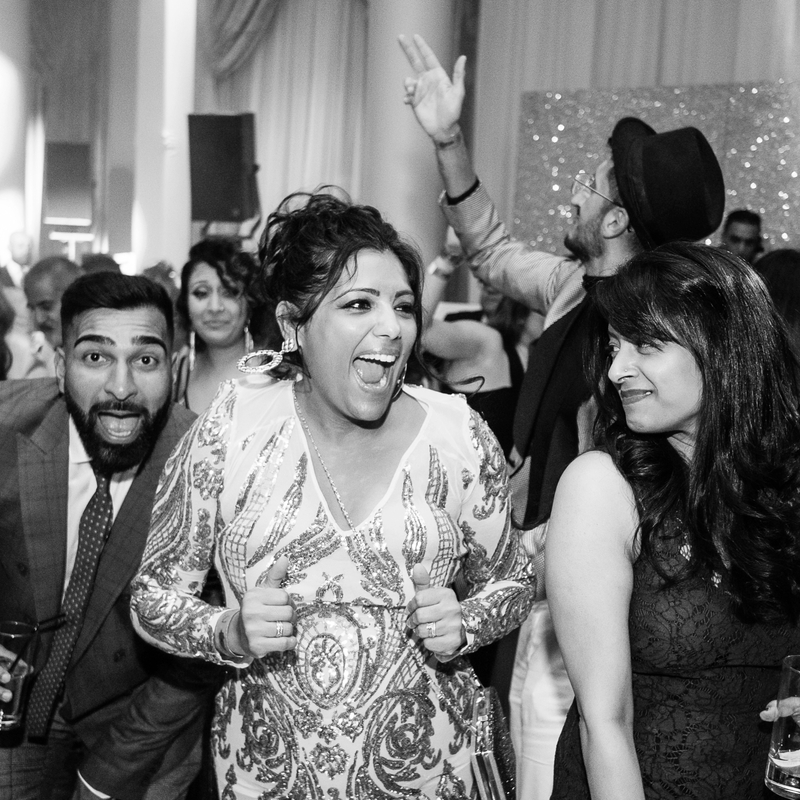 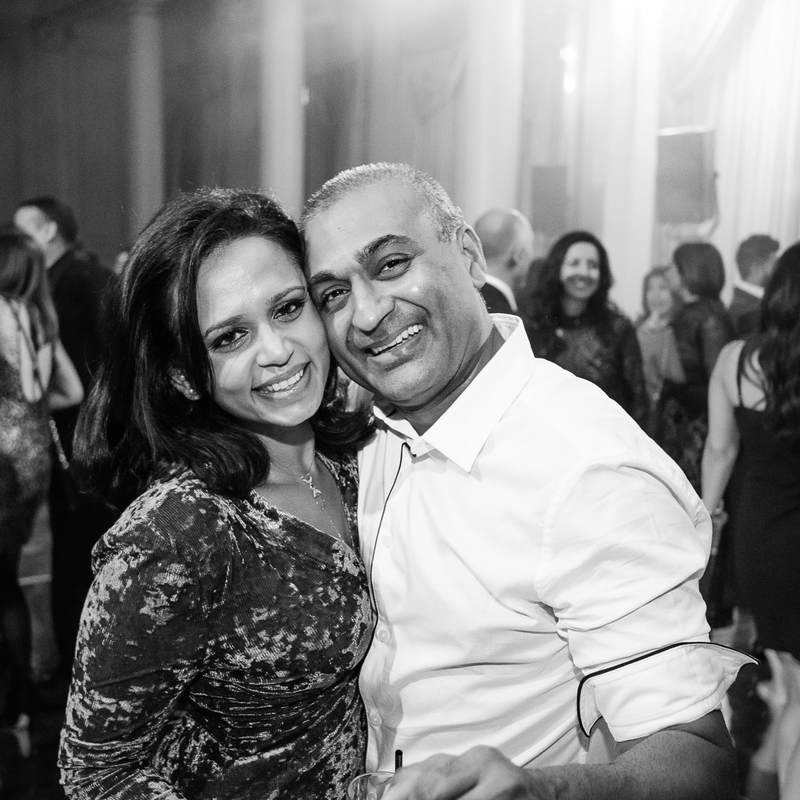 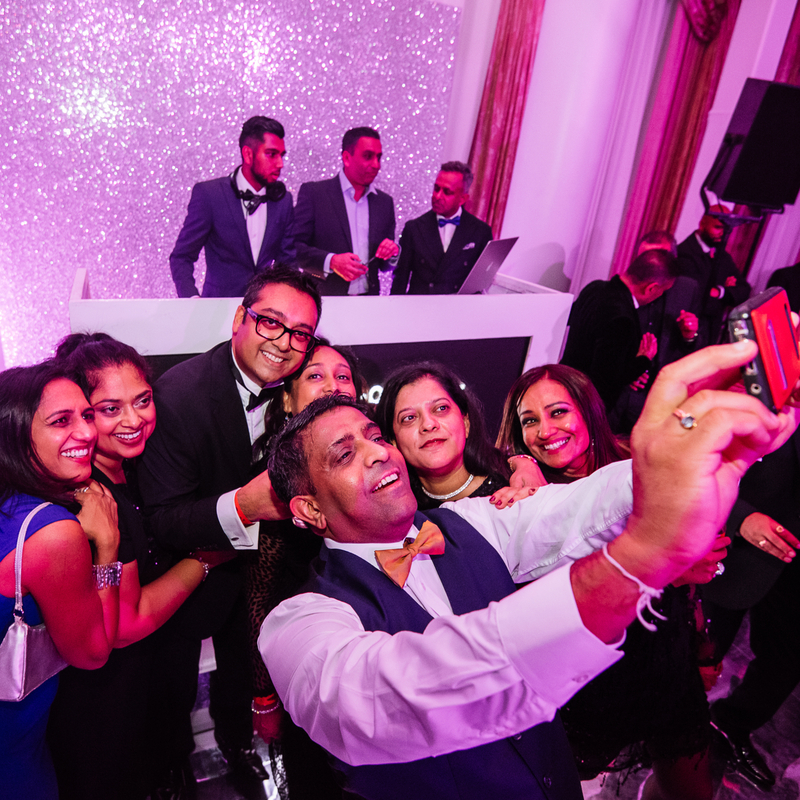 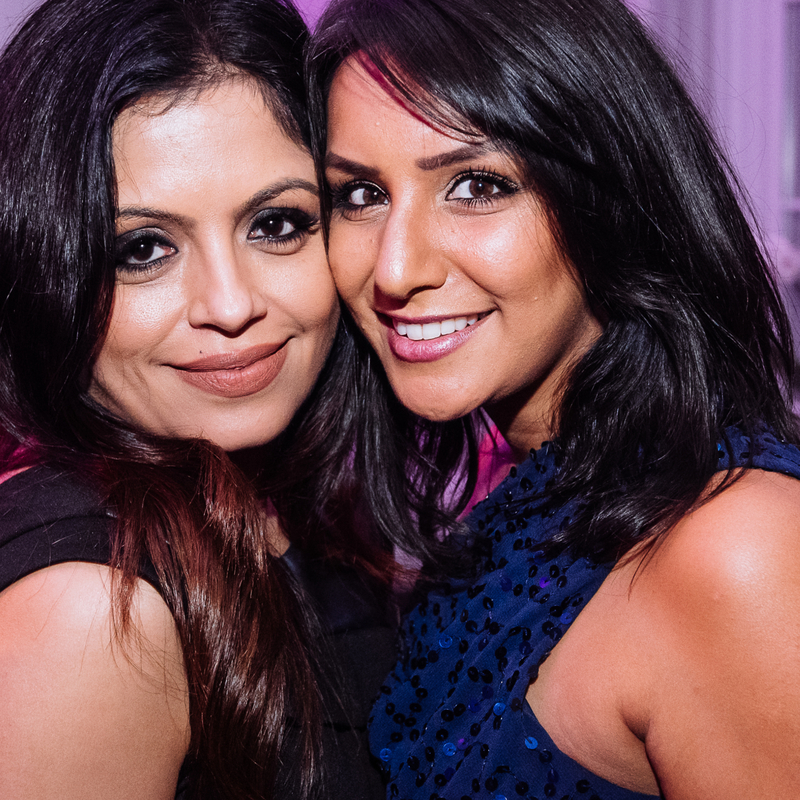 What a lovely way to end the year!” Said Bhavesh Patel, of Mistique Events.